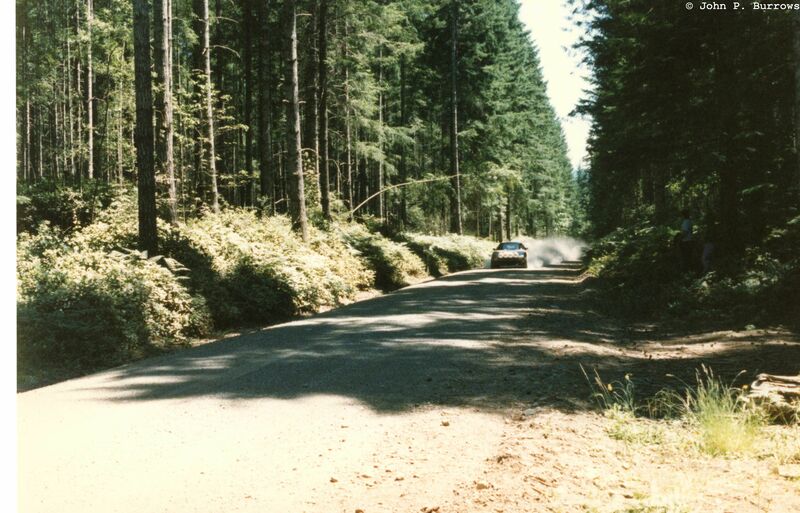 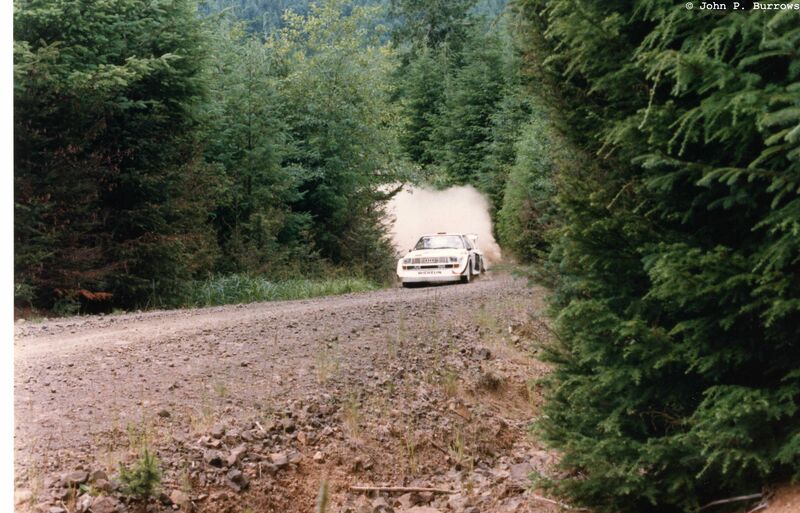 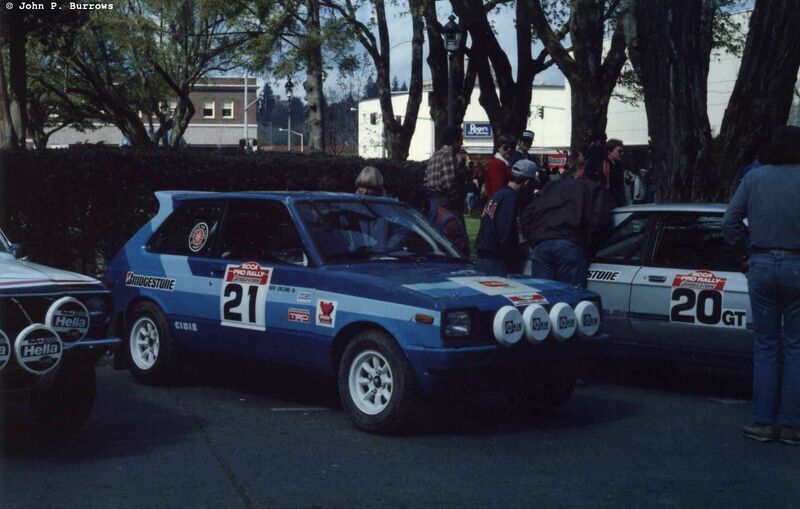 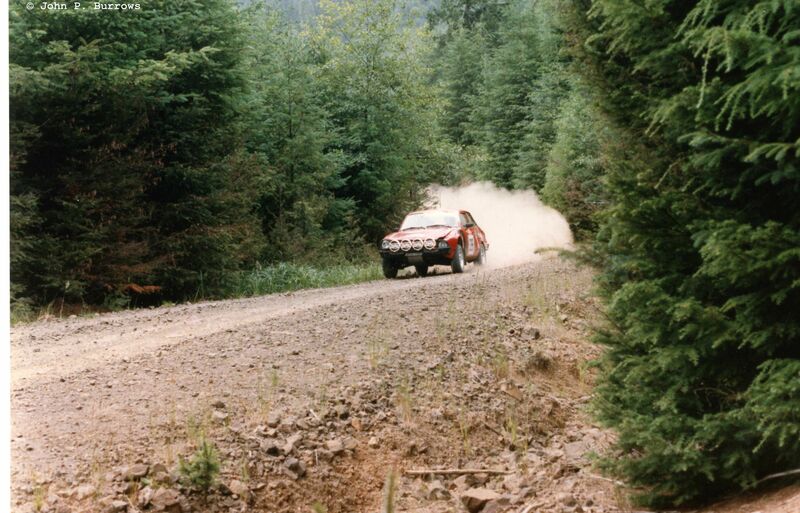 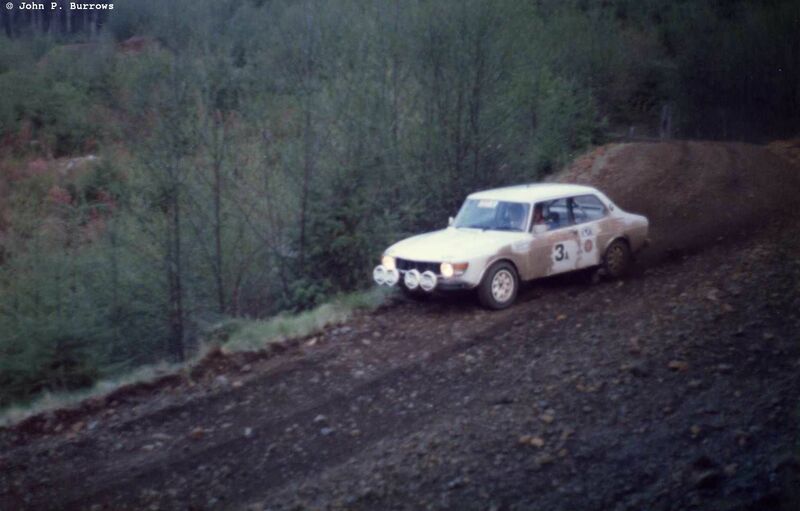 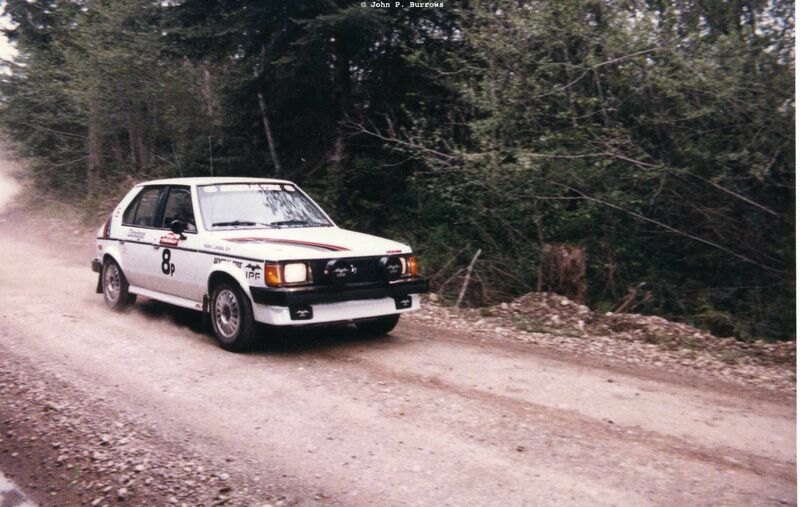 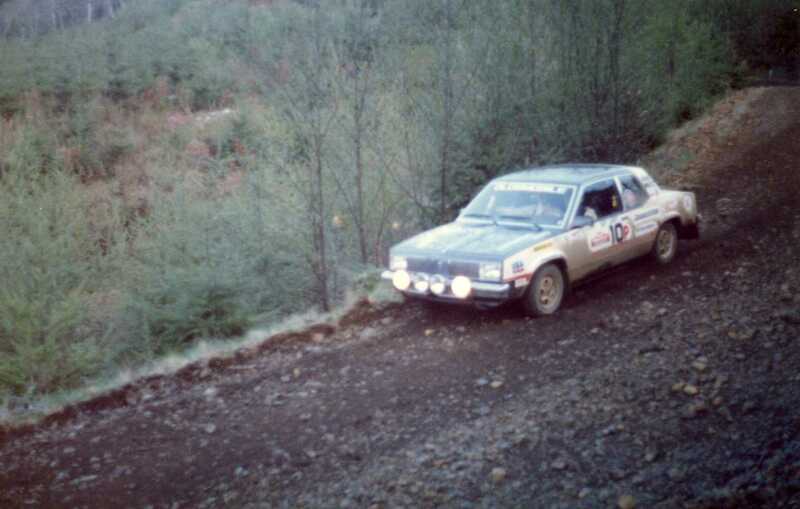 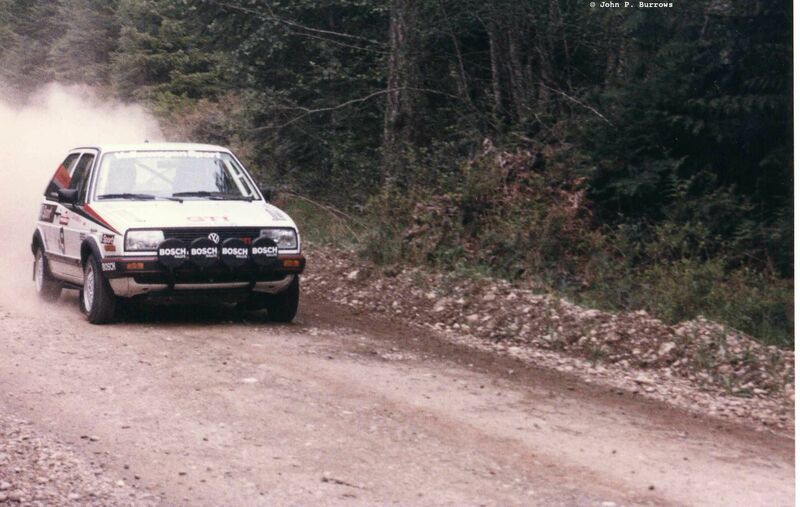 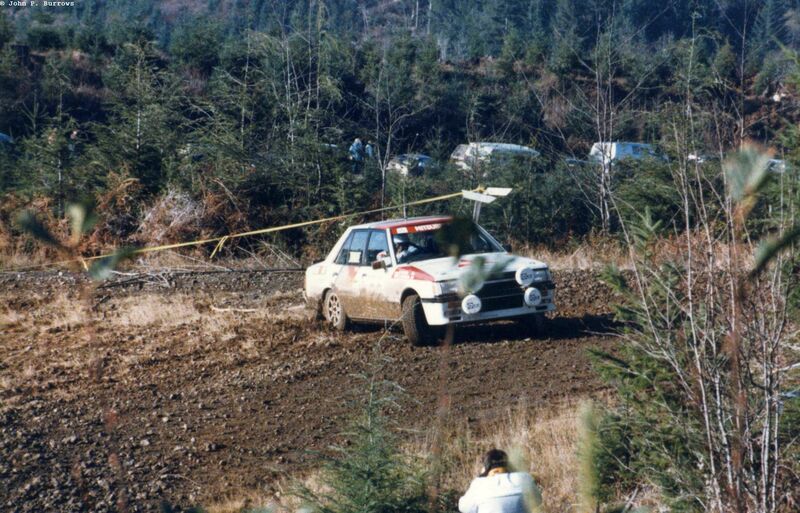 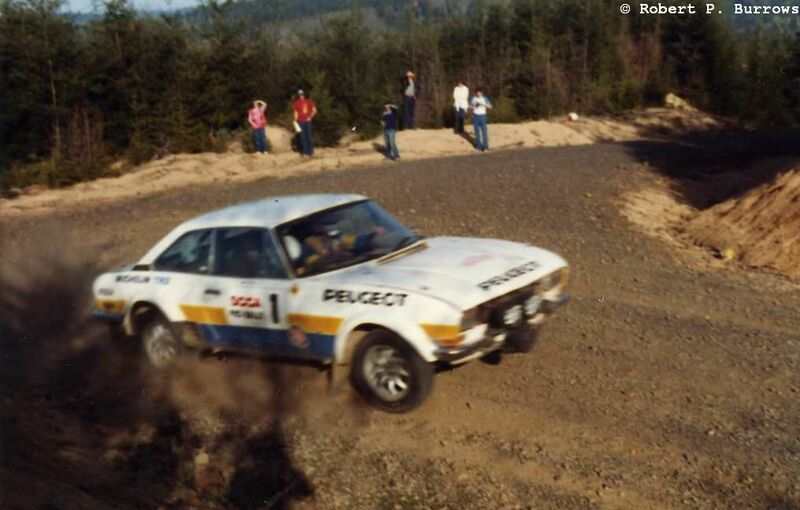 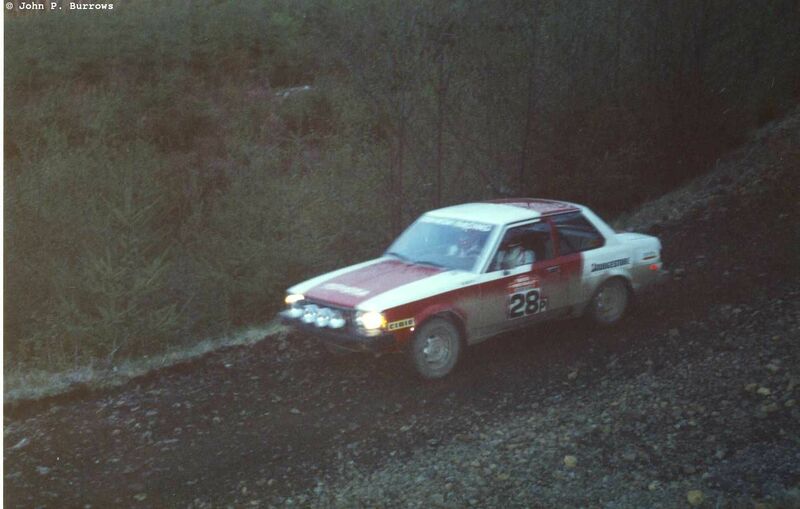 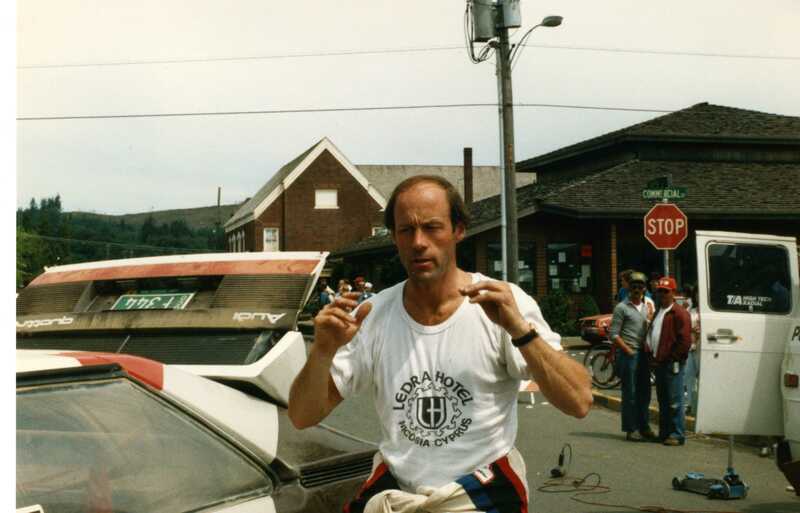 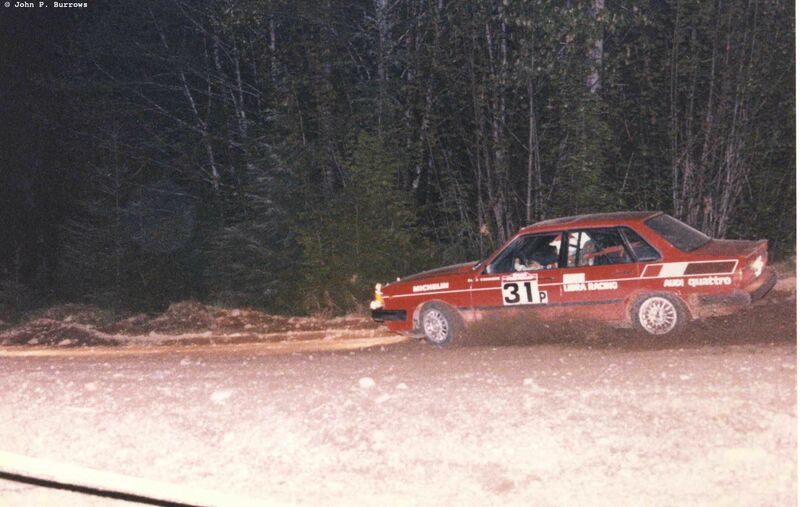 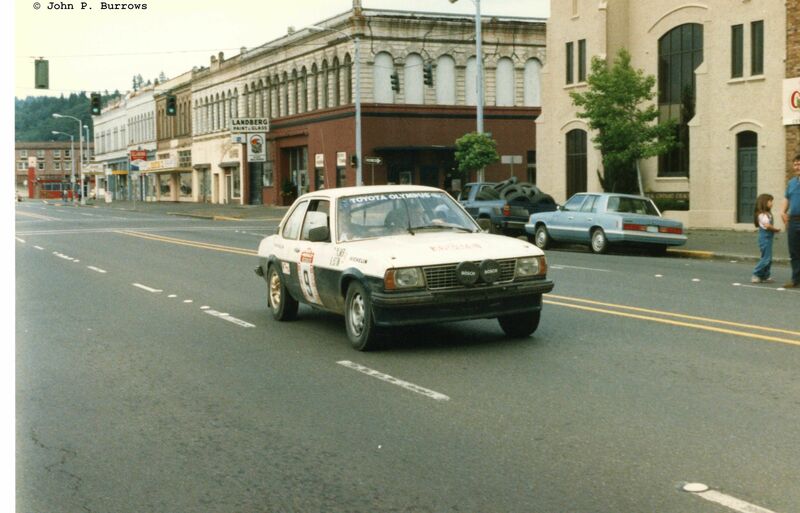 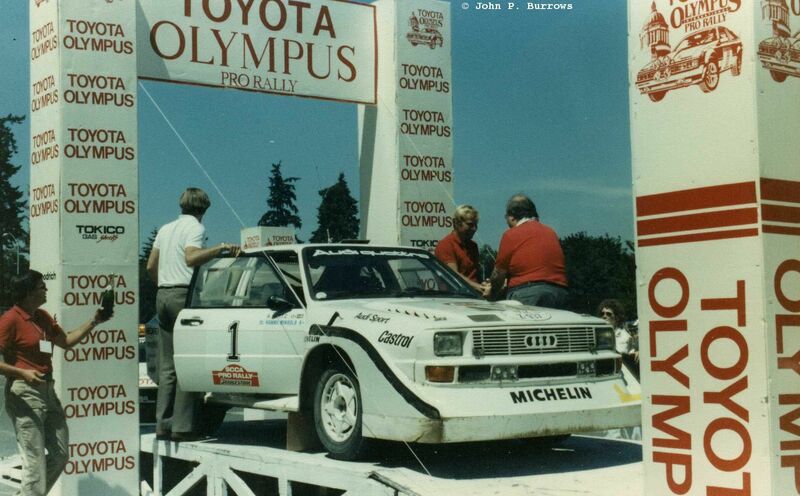 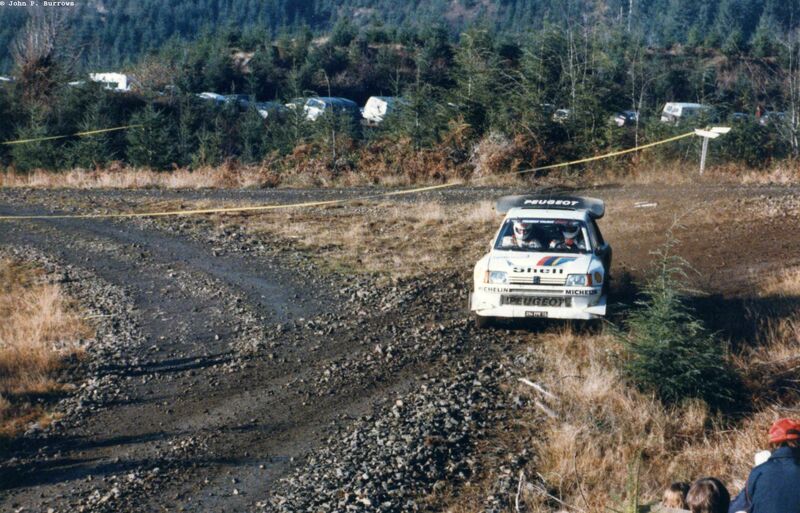 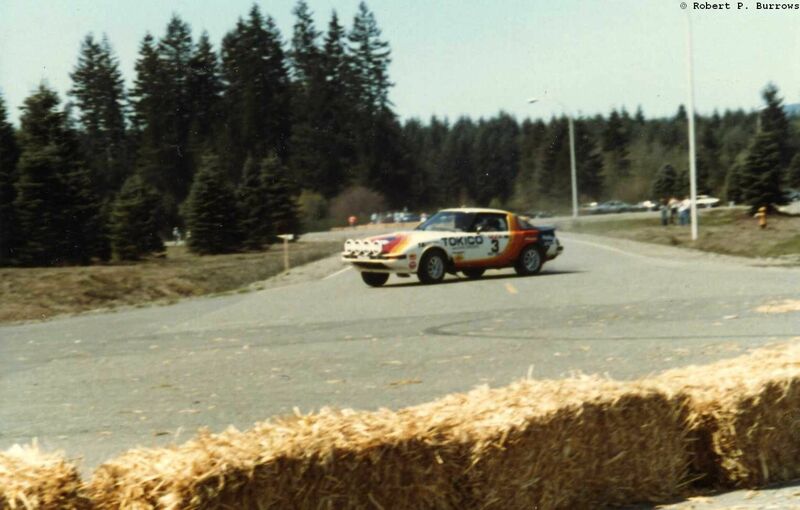 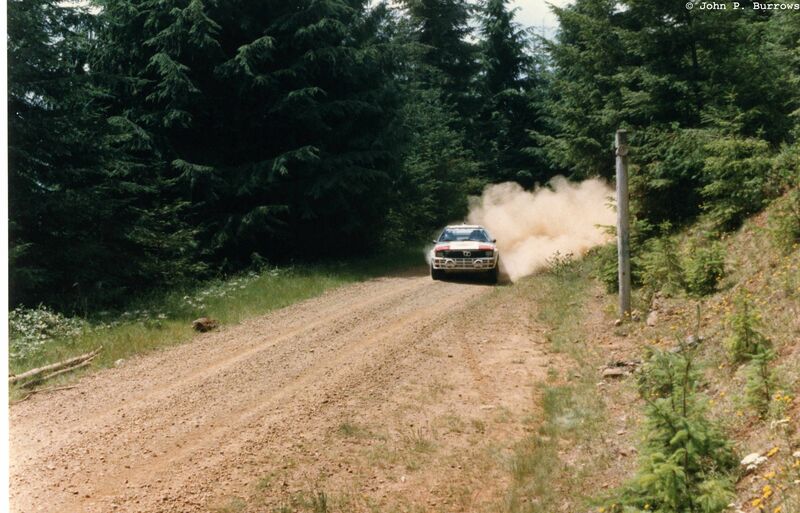 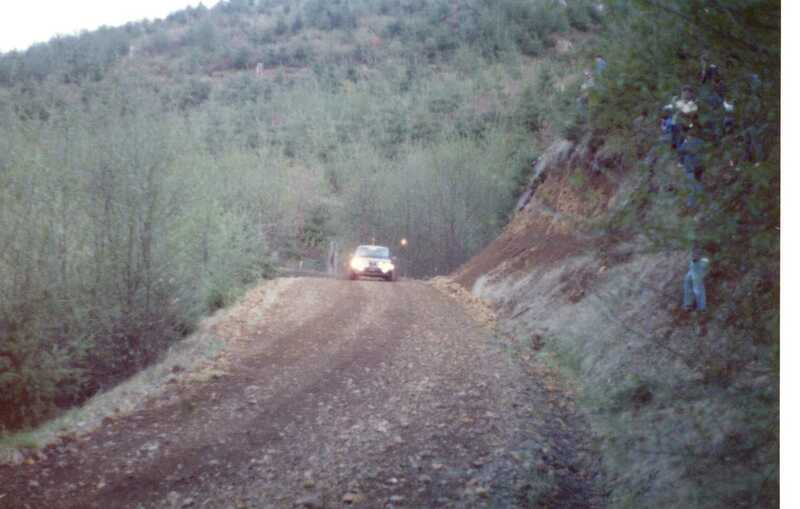 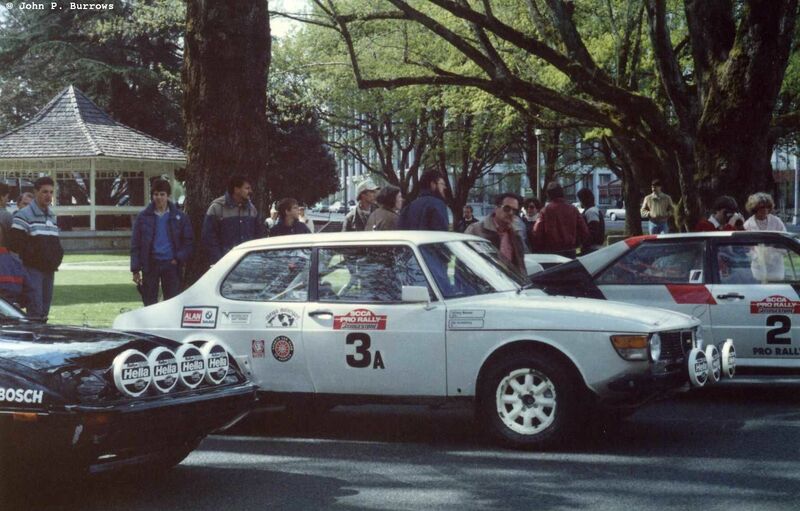 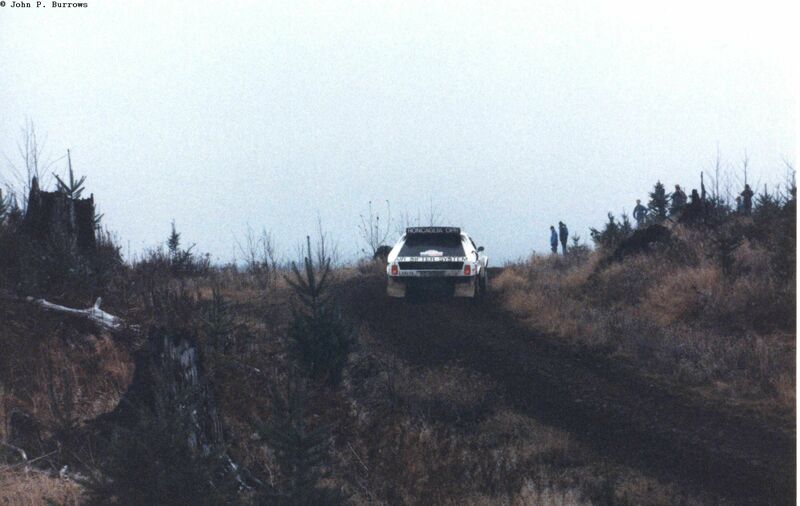 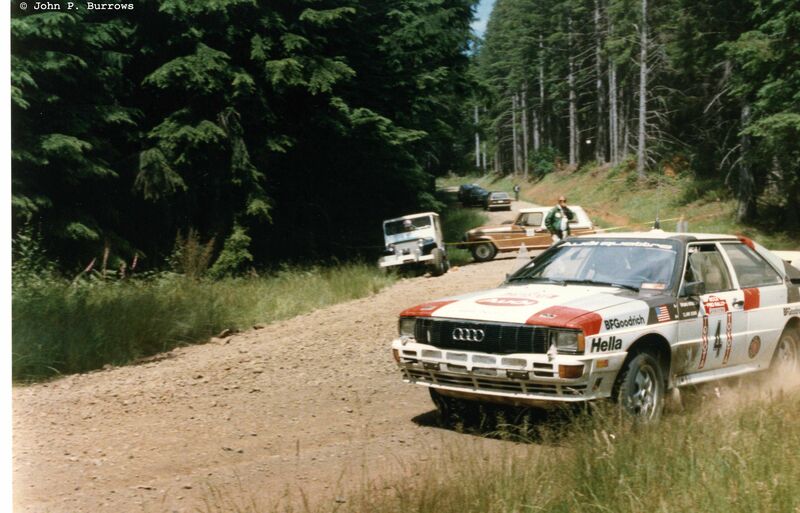 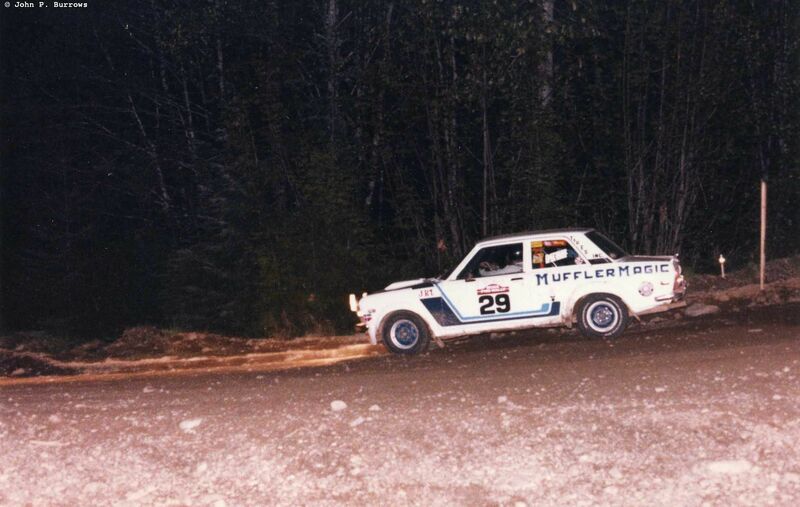 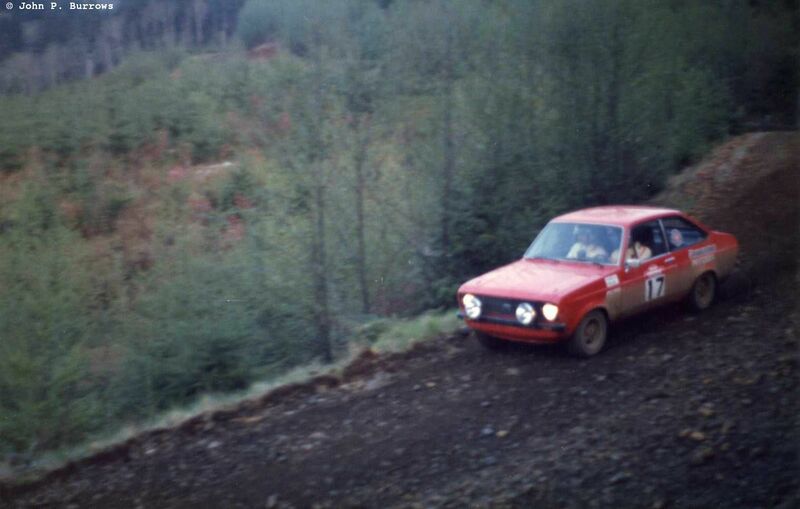 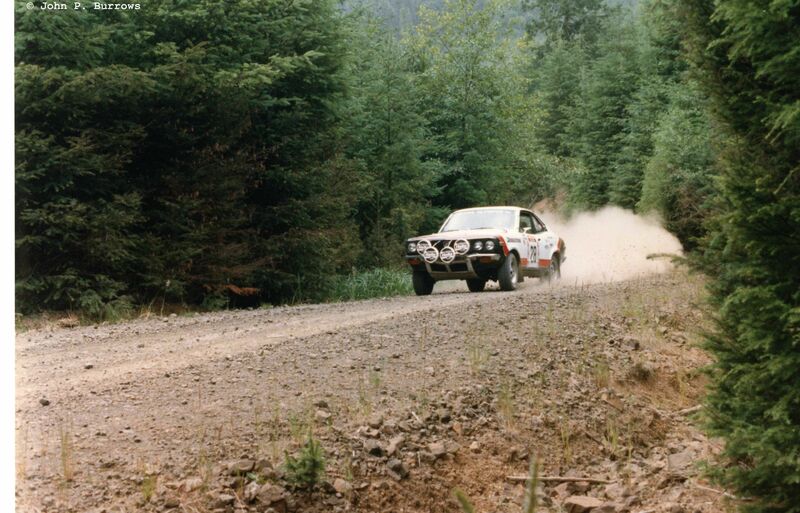 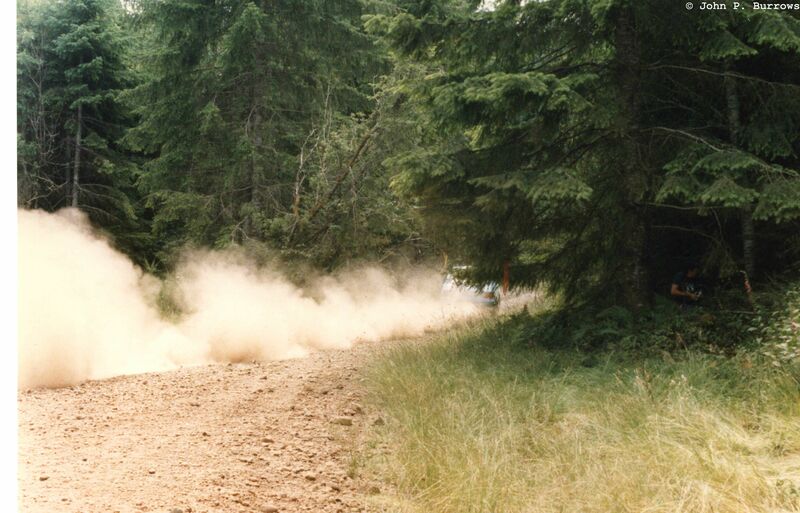 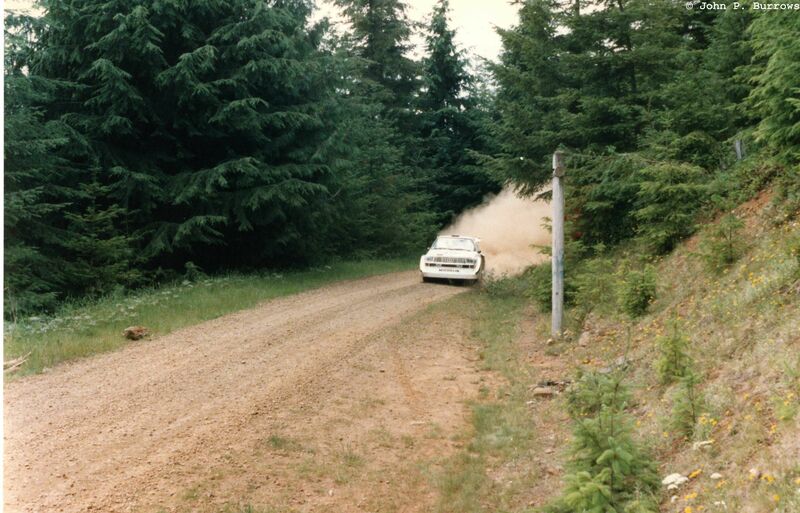 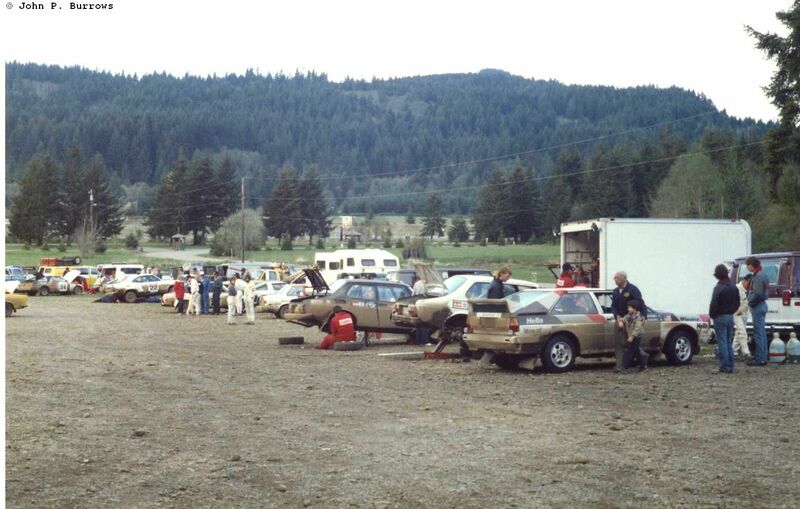 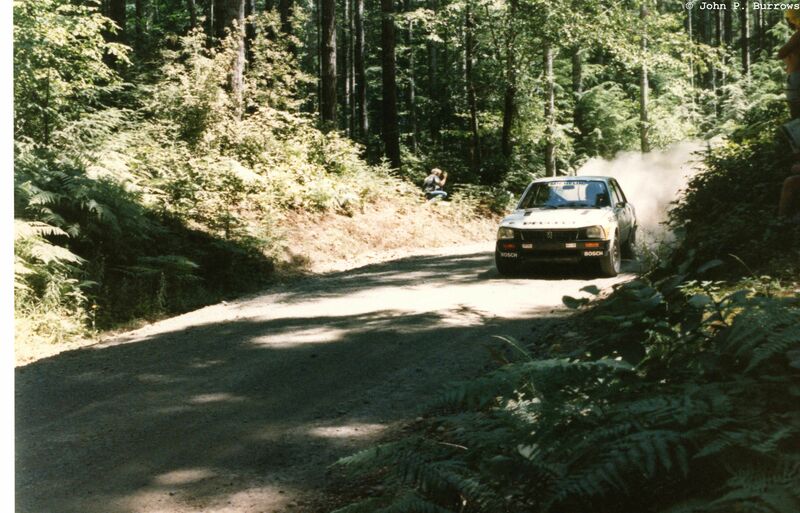 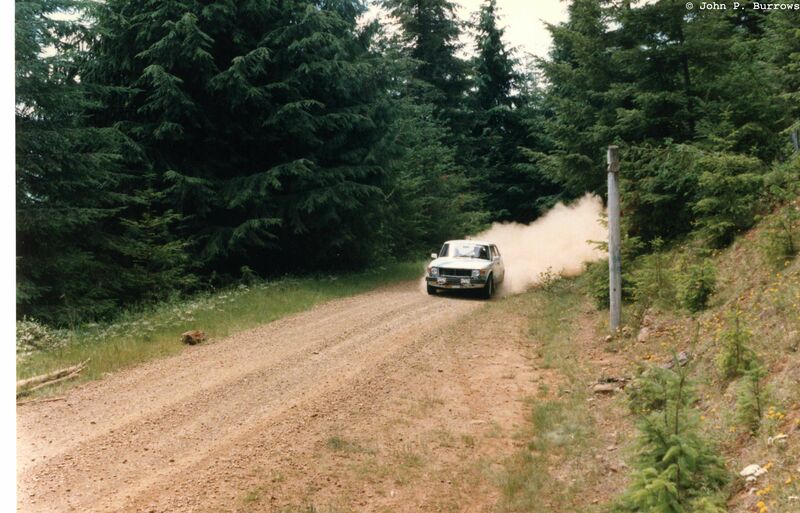 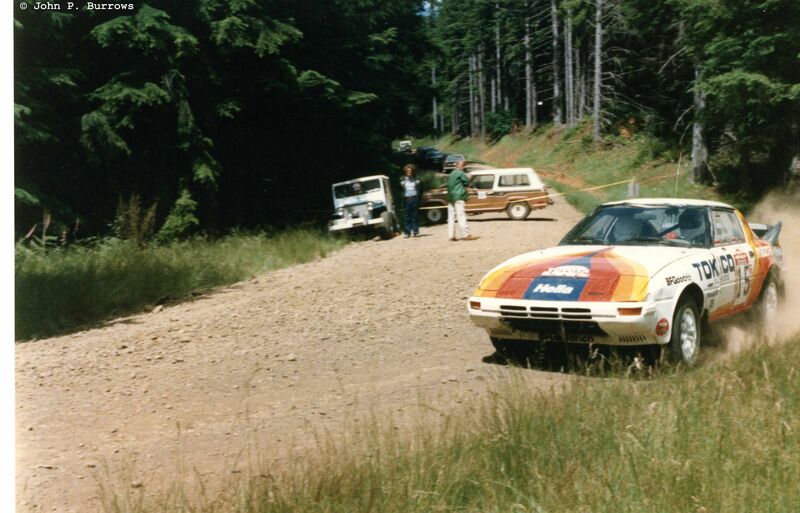 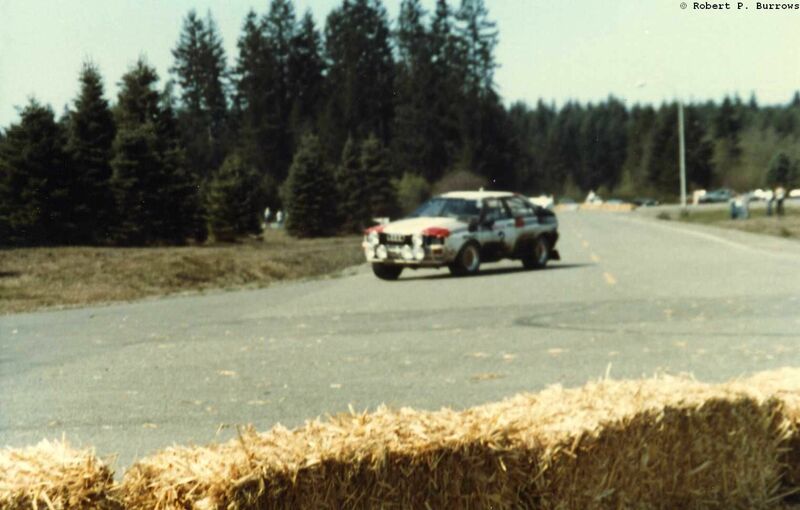 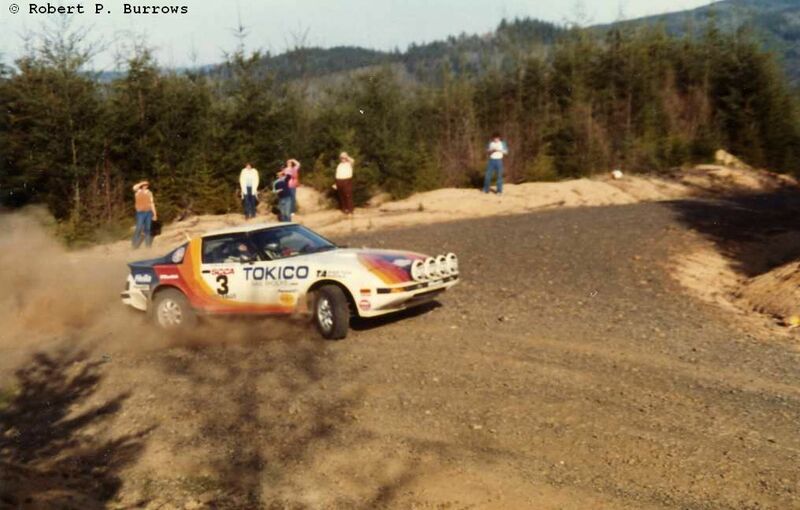 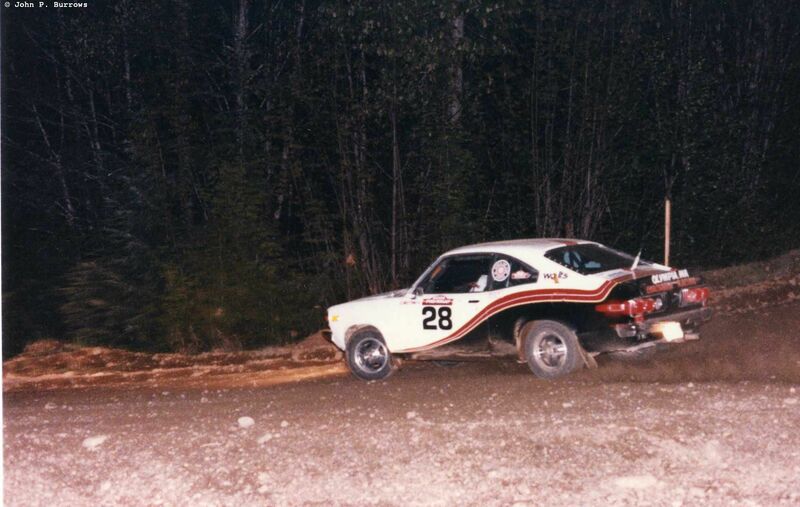 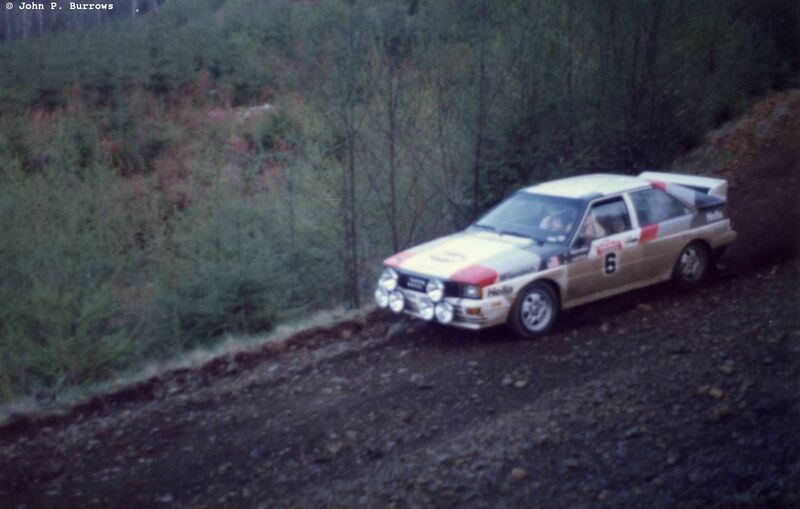 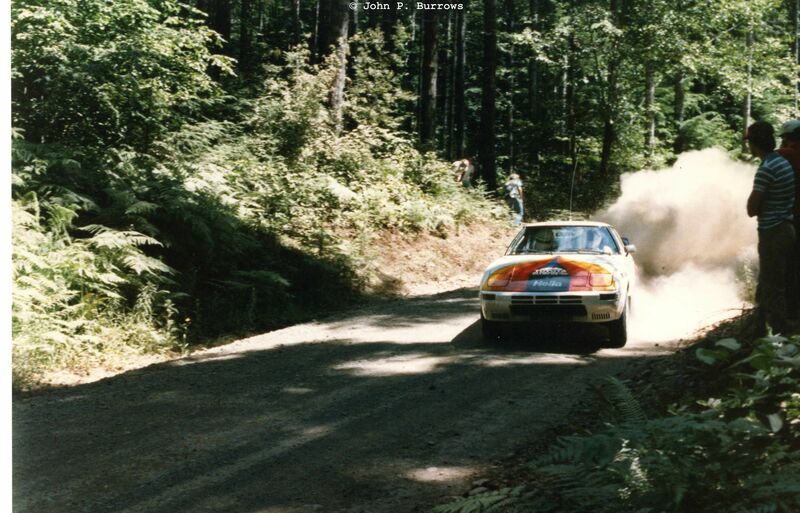 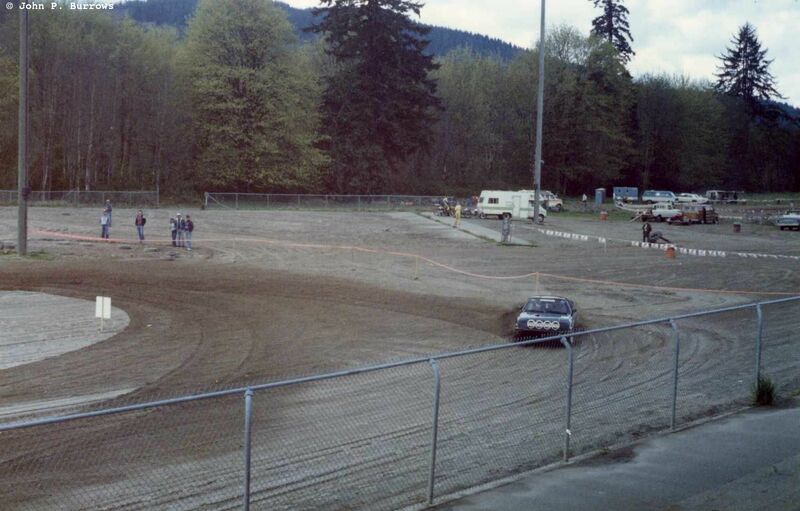 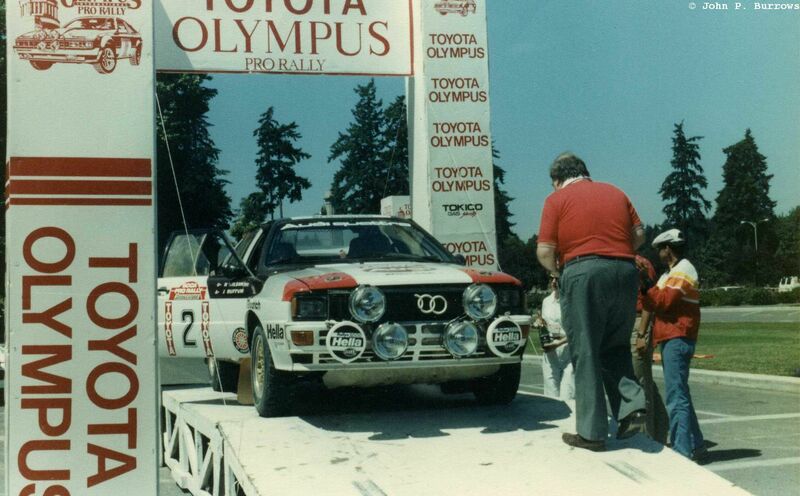 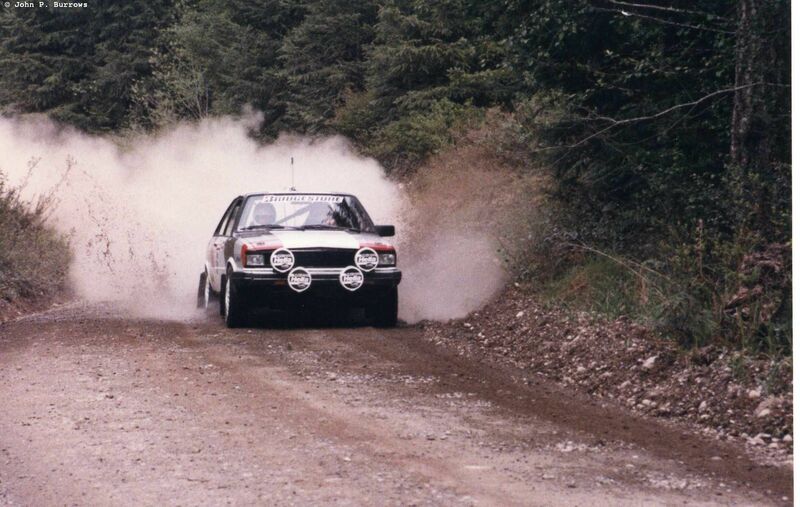 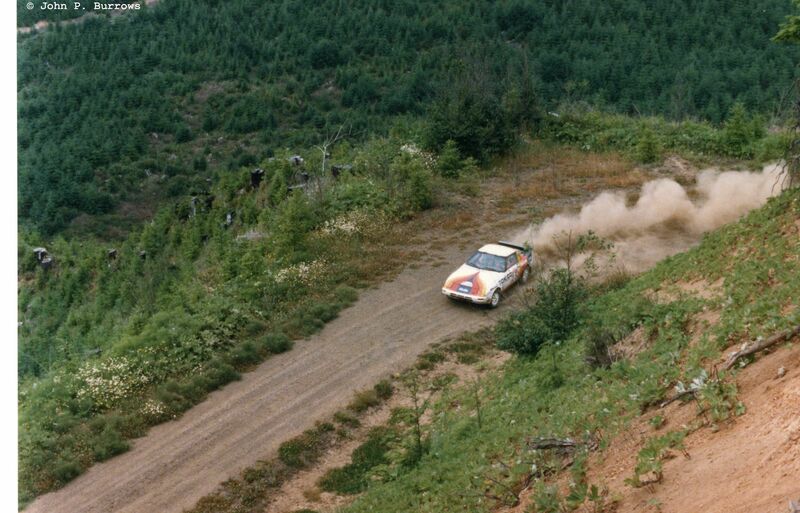 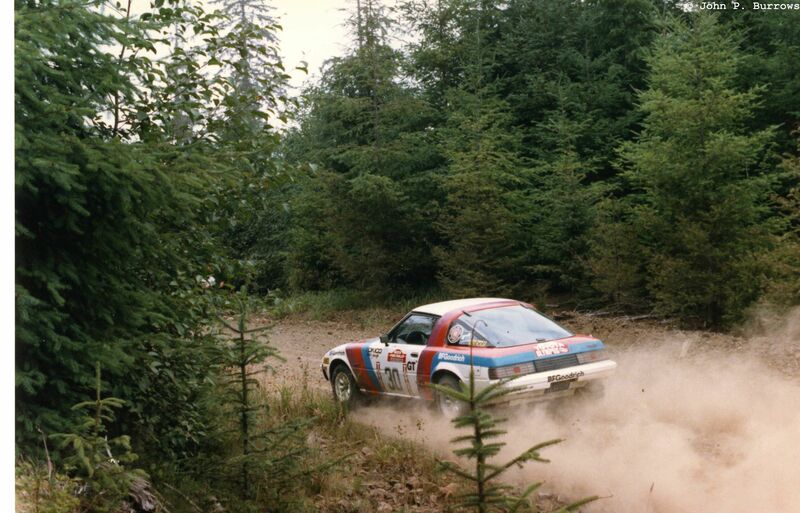 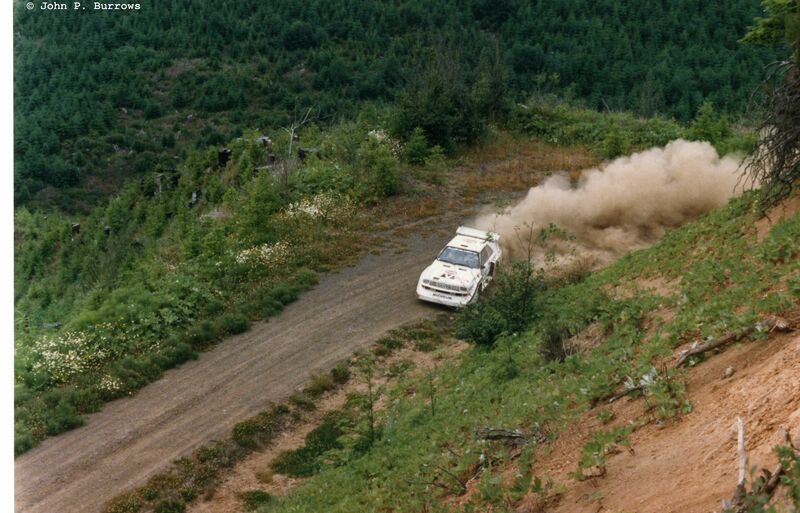 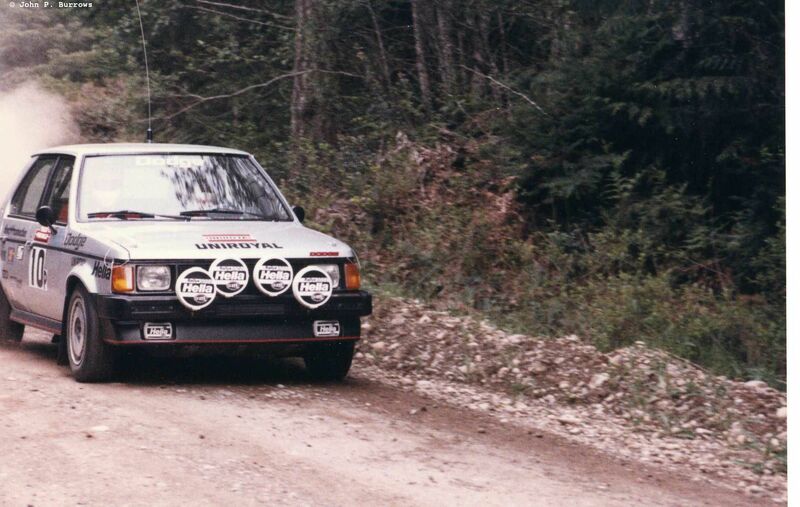 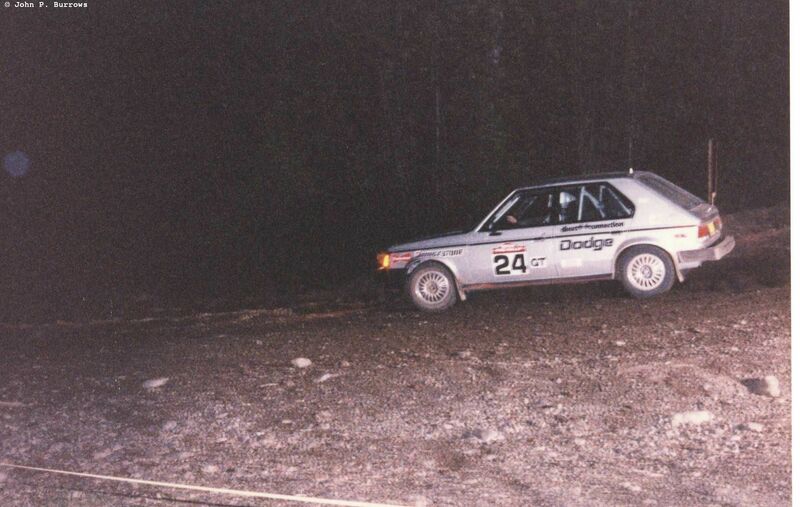 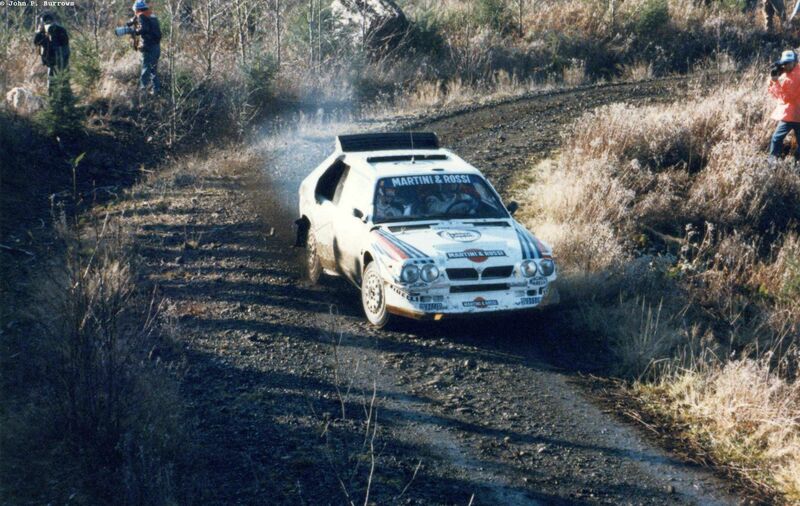 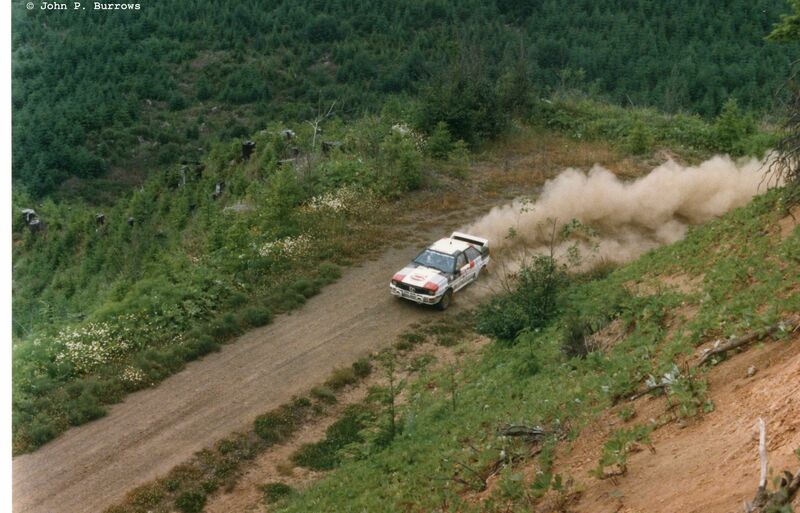 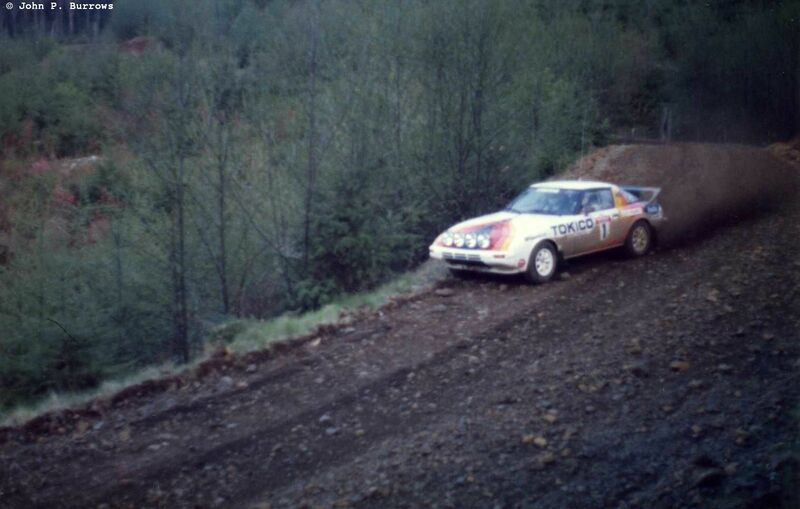 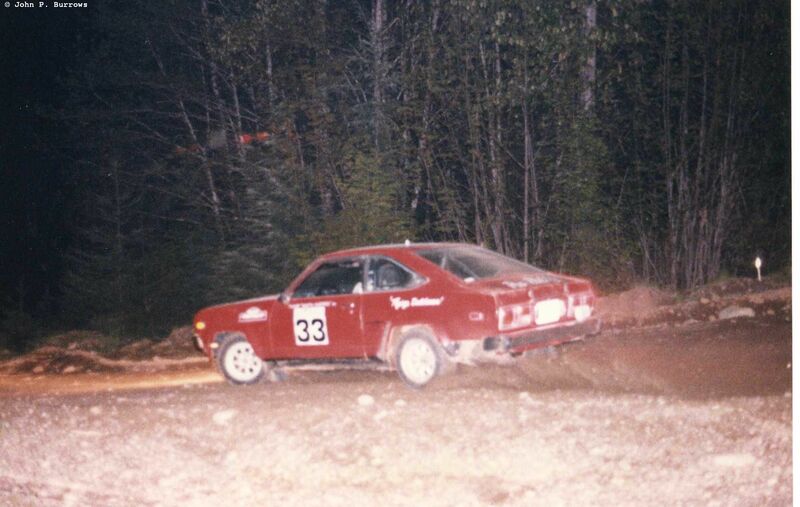 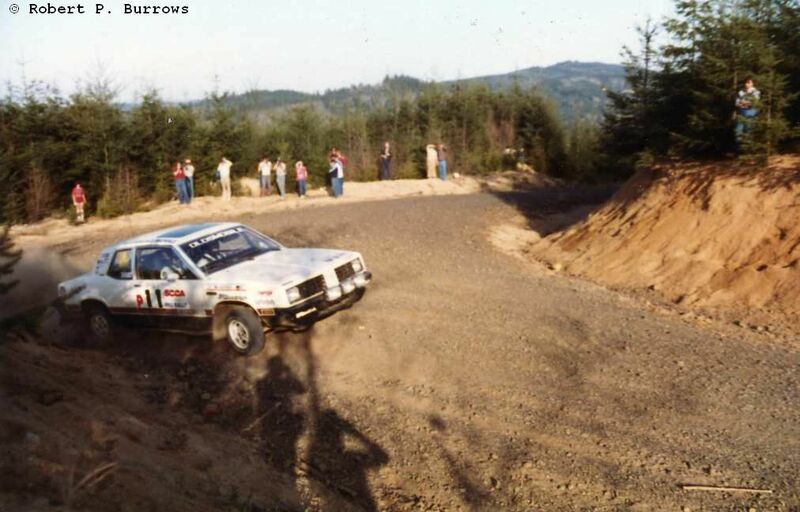 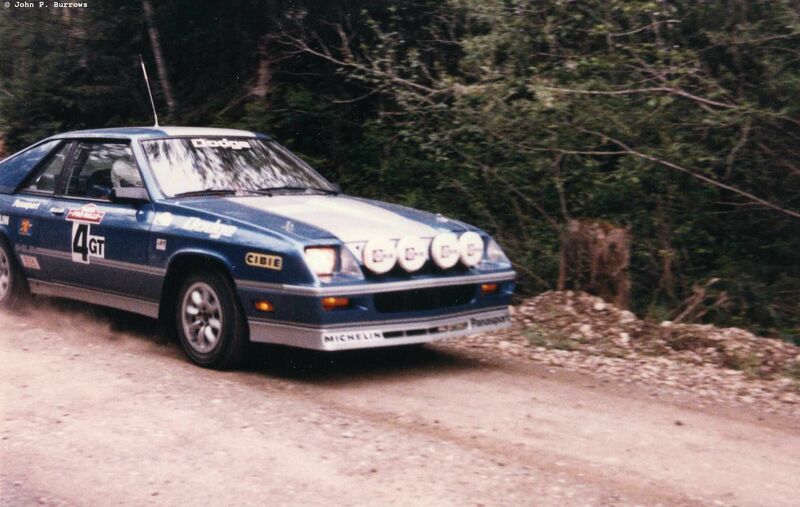 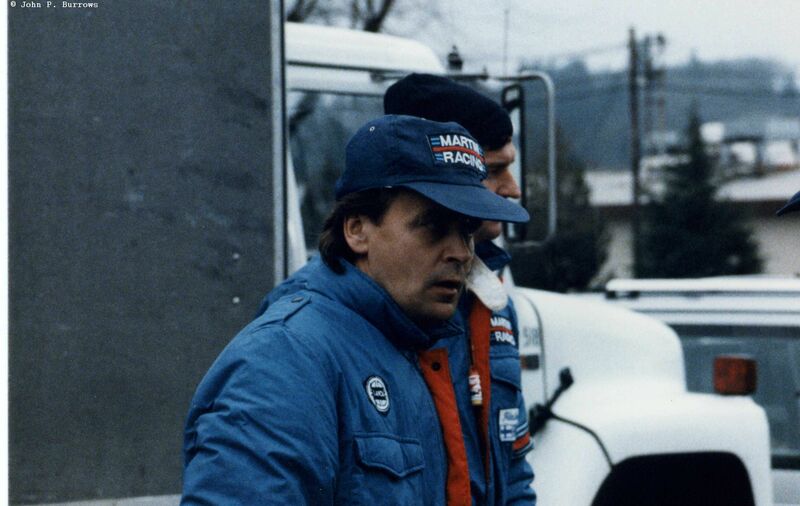 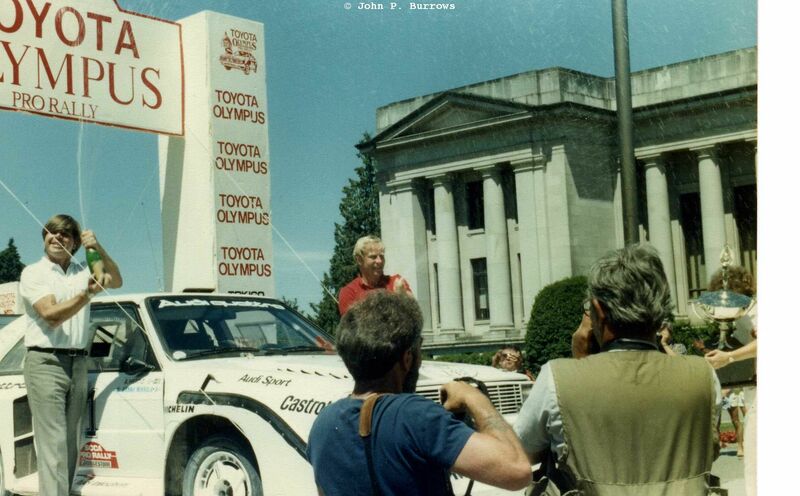 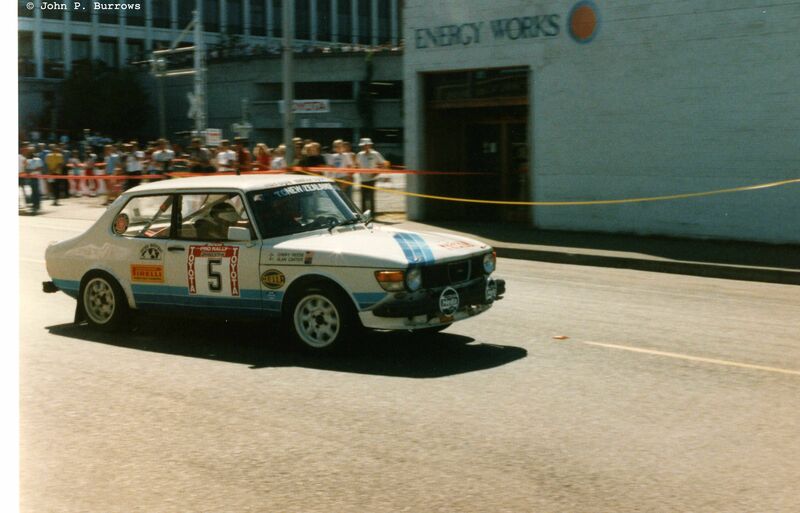 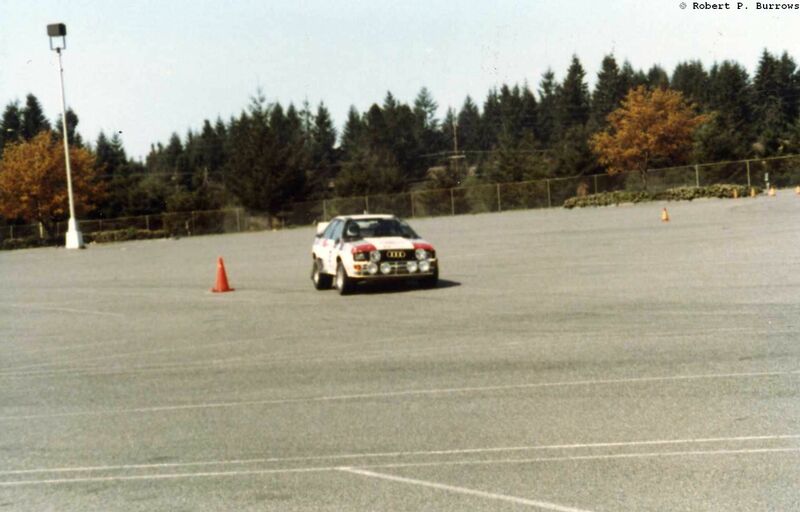 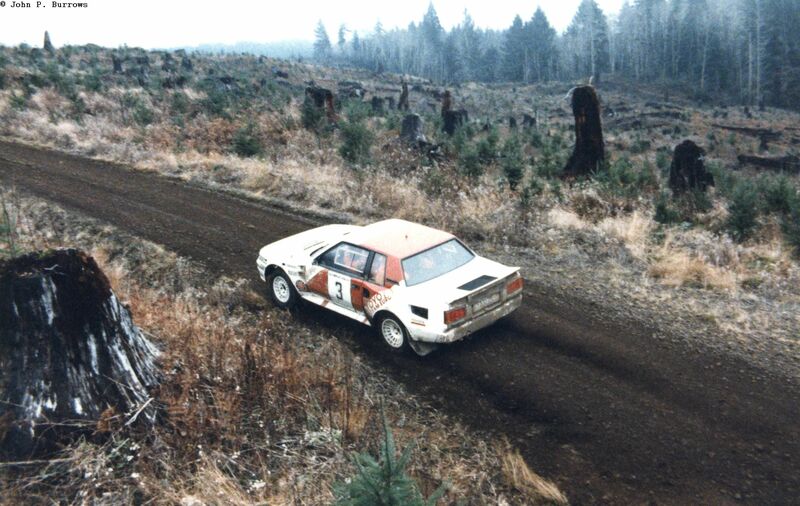 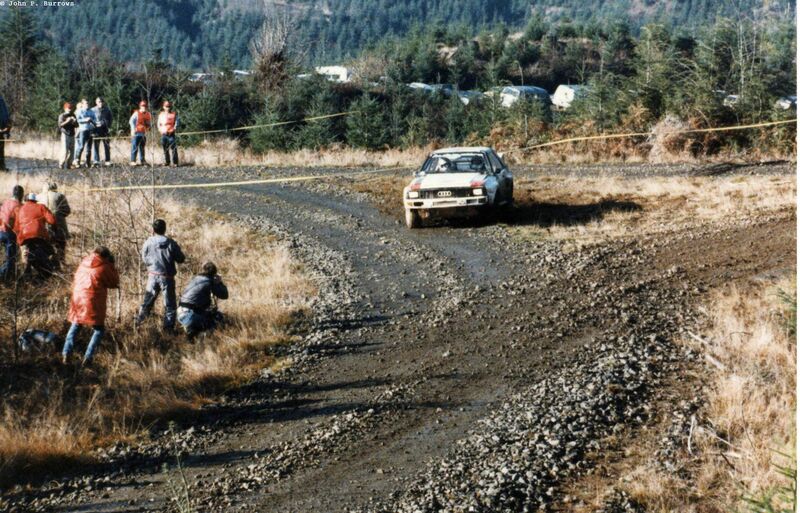 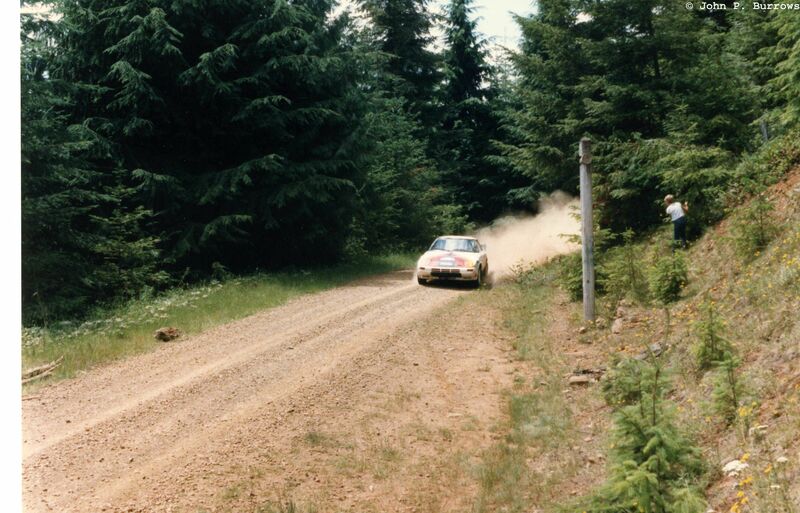 Saturday was composed of classic Olympus Rally stages in the Brooklyn area of Grays Harbor County between Cosmopolis and Raymond. 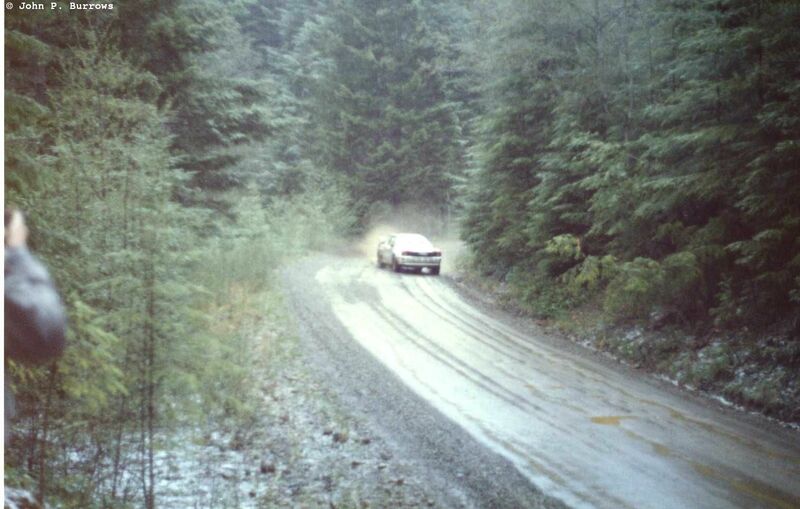 The weather was dryer than Friday’s wet stages, with a bit of fog early and then a little sun to end the day. 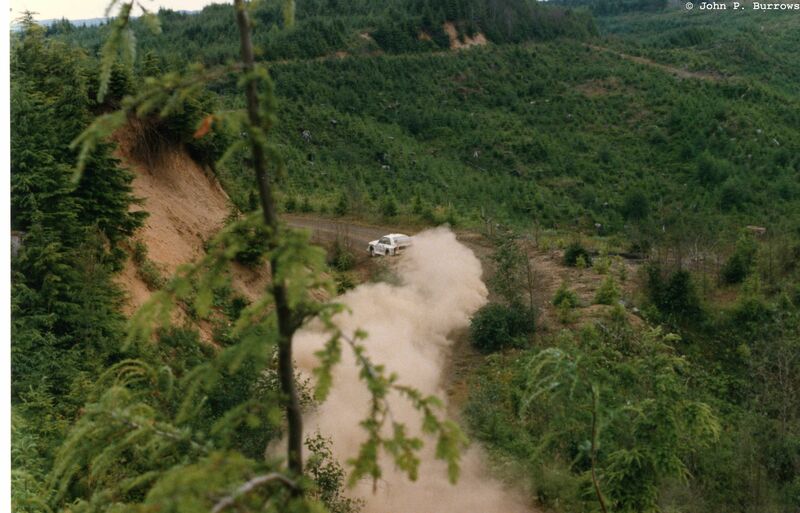 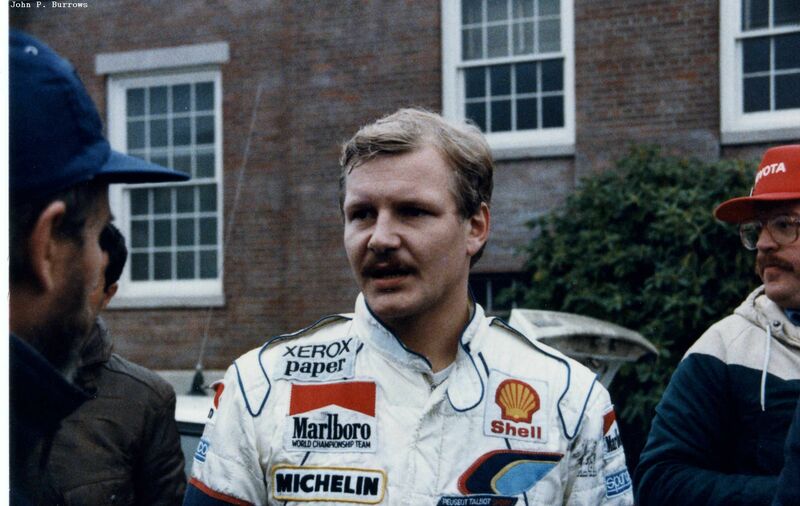 Kankunnen and Alen were still locked in their own battle for the driver’s title. 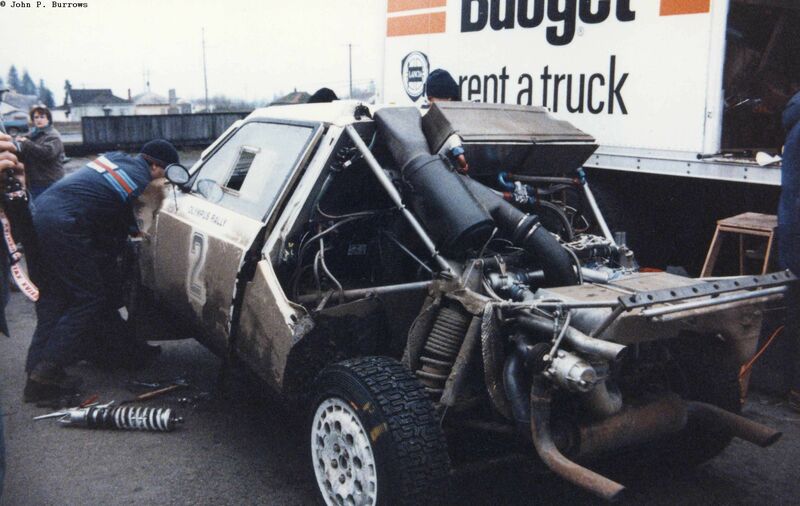 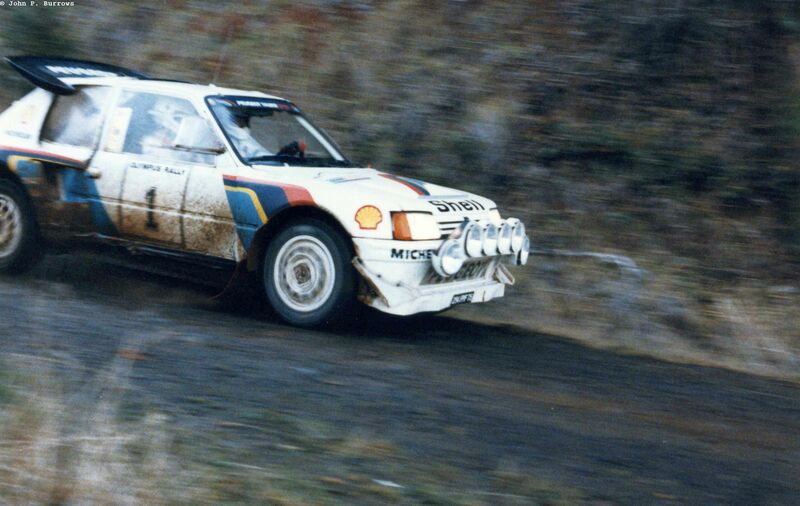 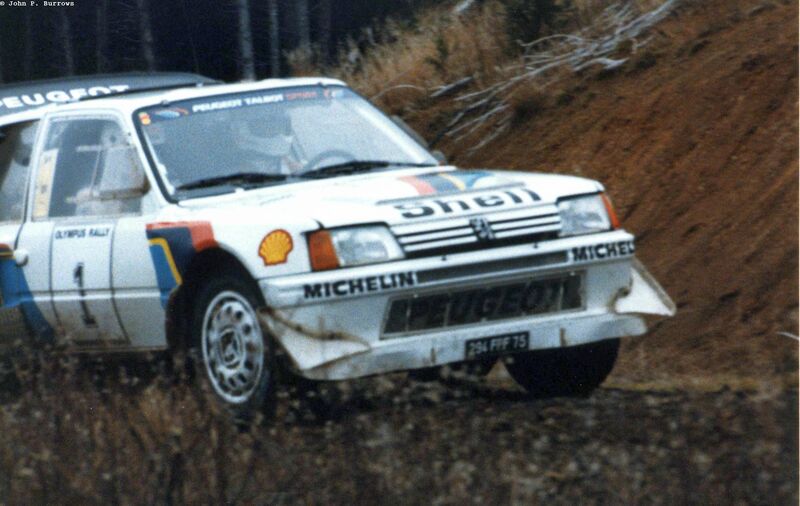 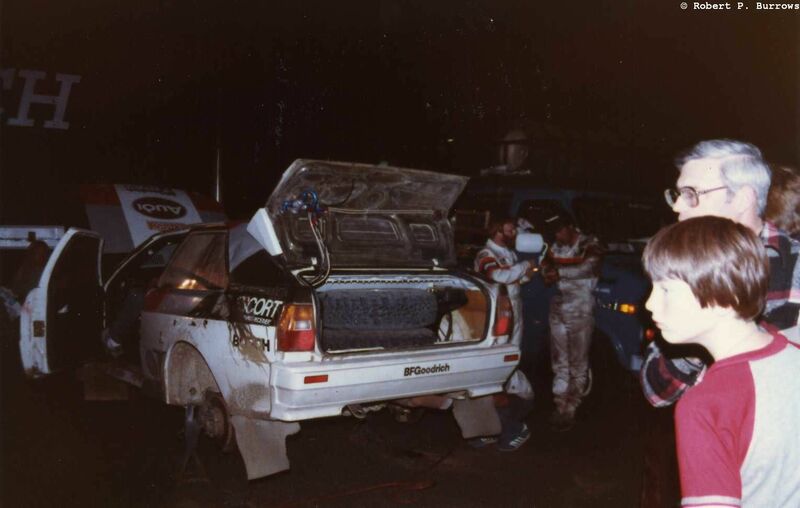 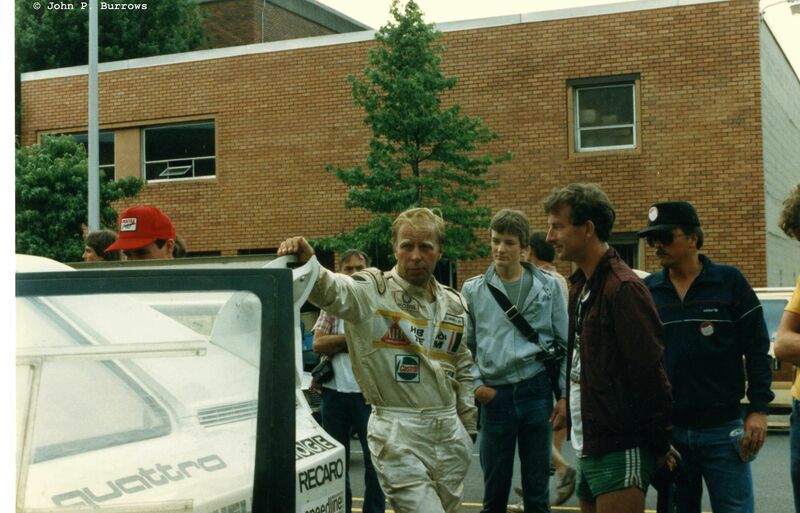 Kankunnen had a technical problem with the 205 and Alen was now leading. 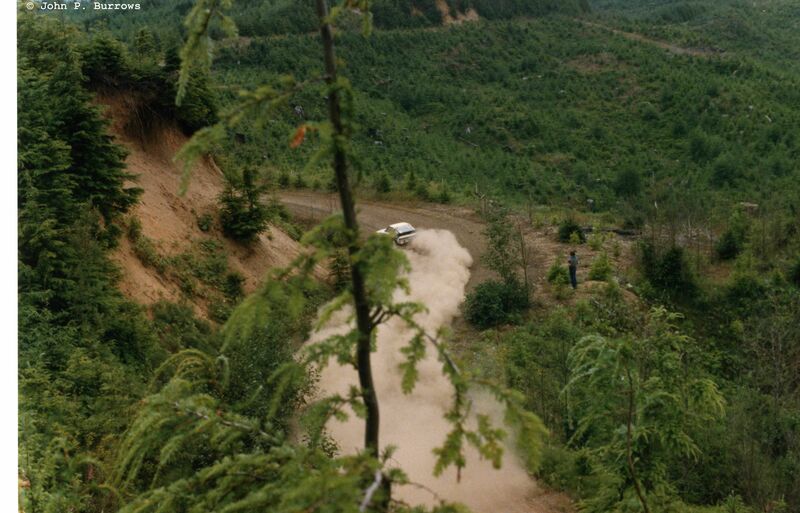 This is one of my favorite shots. 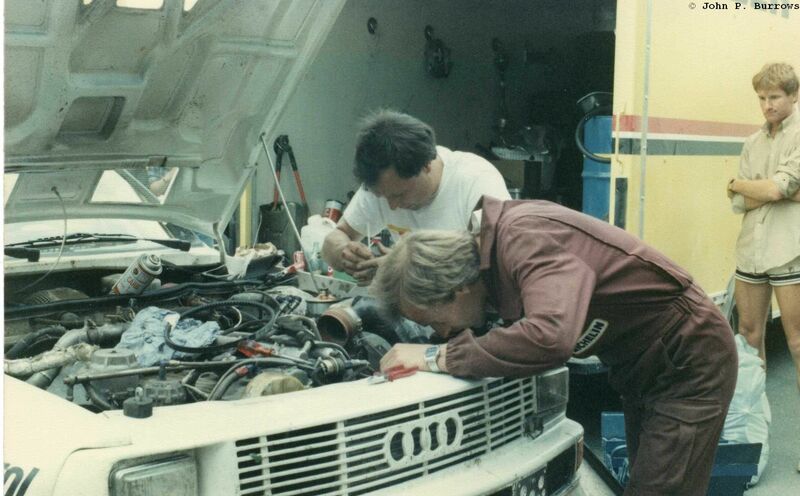 I had it enlarged and it still hangs in my garage to this day. 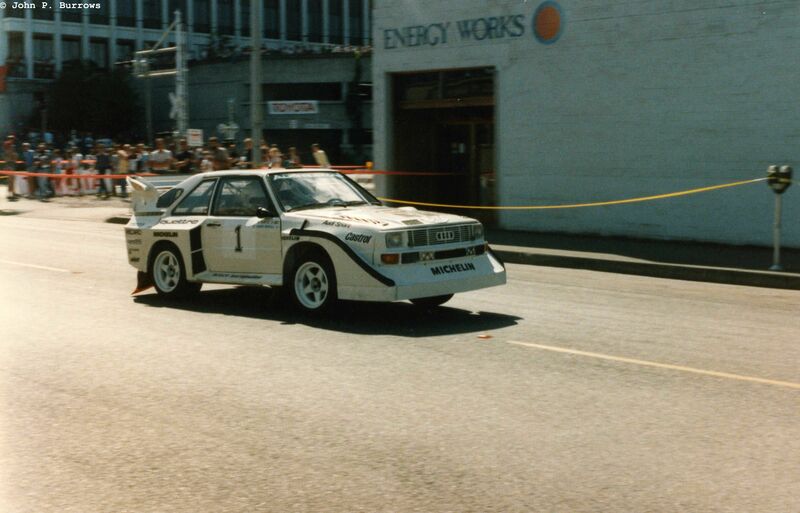 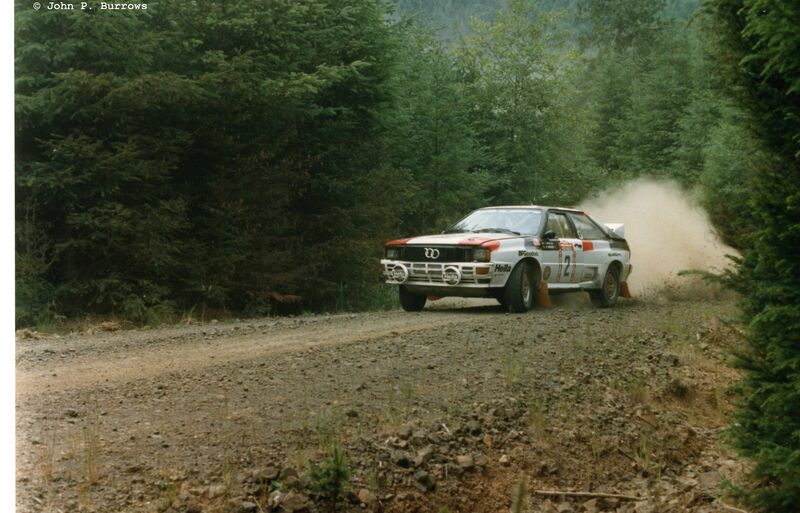 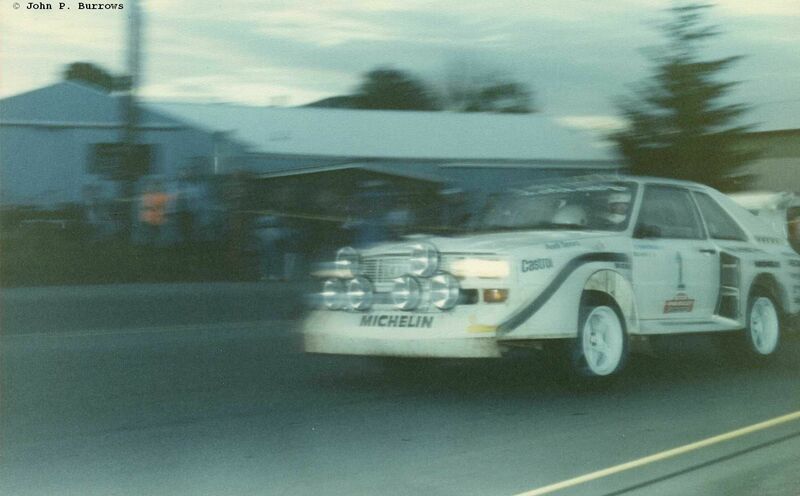 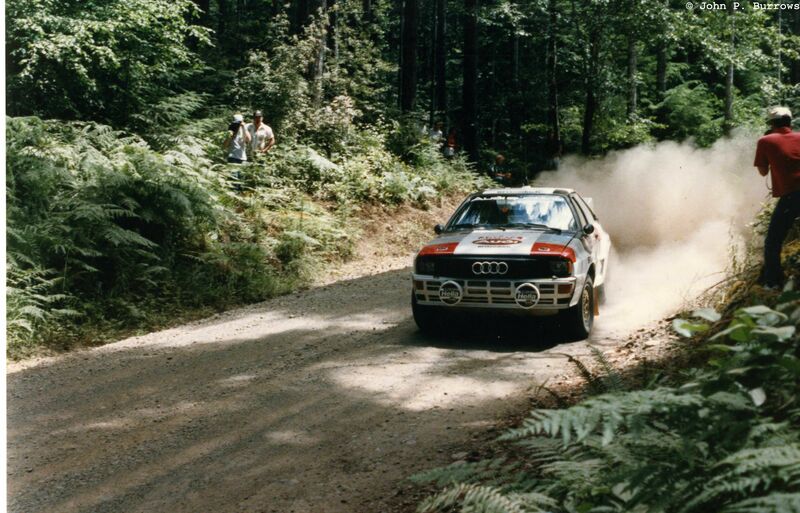 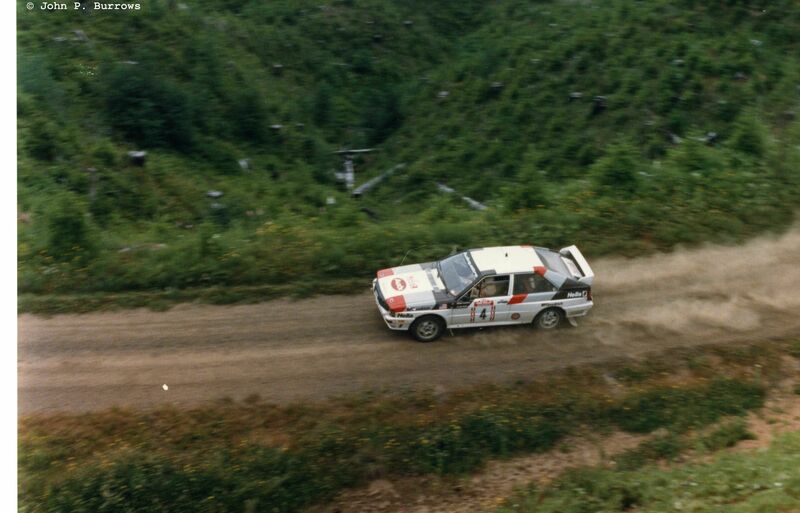 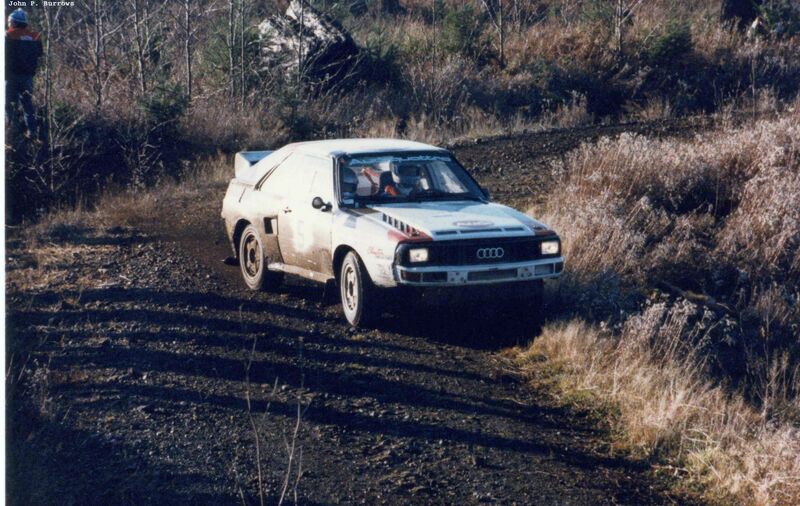 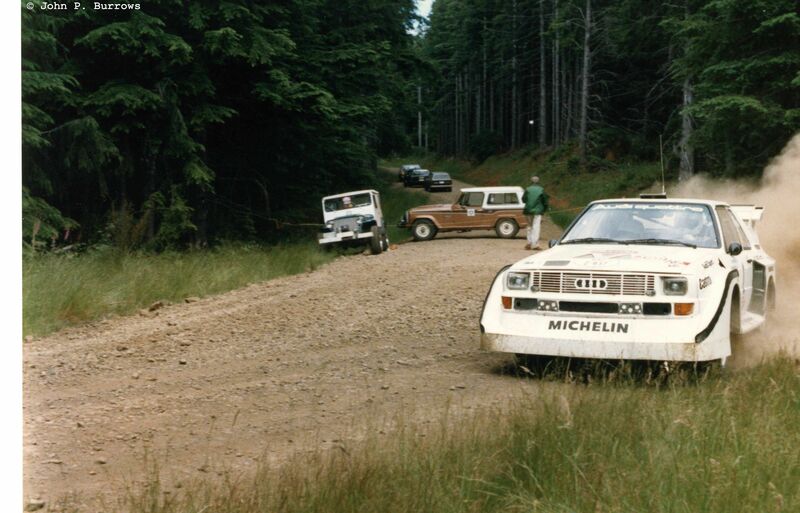 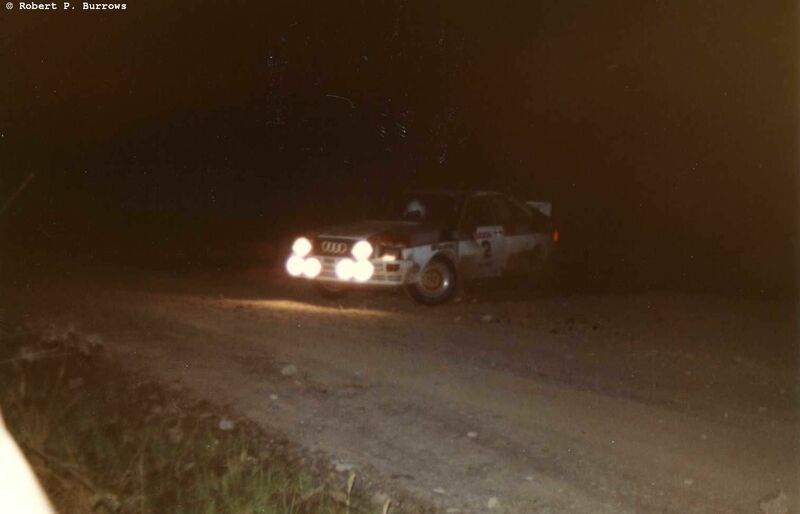 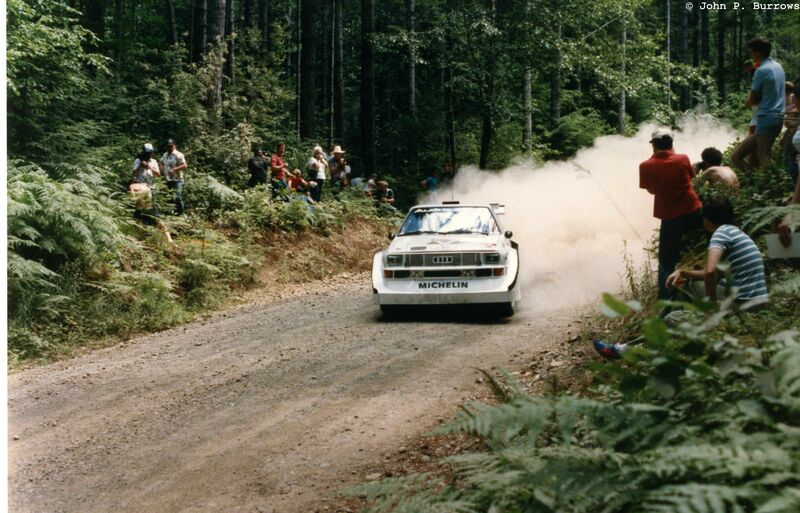 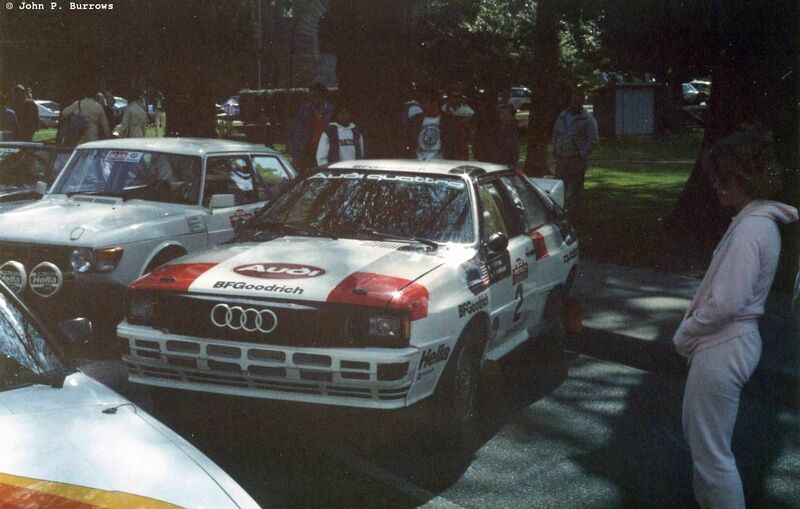 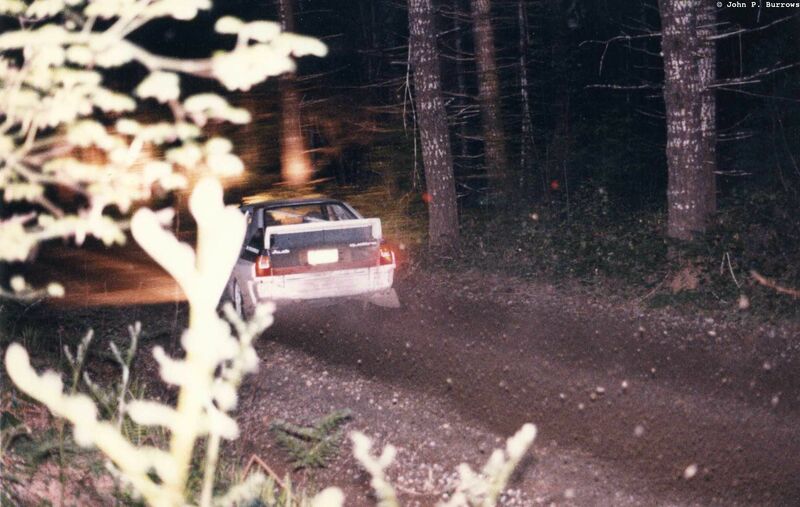 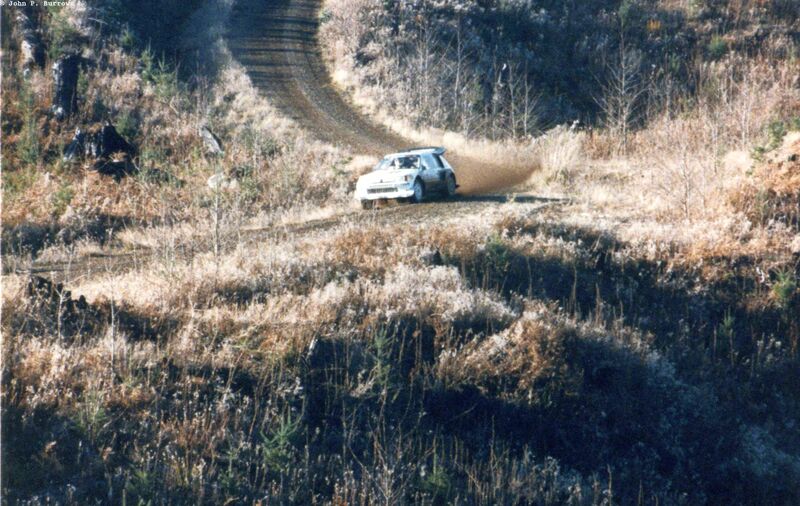 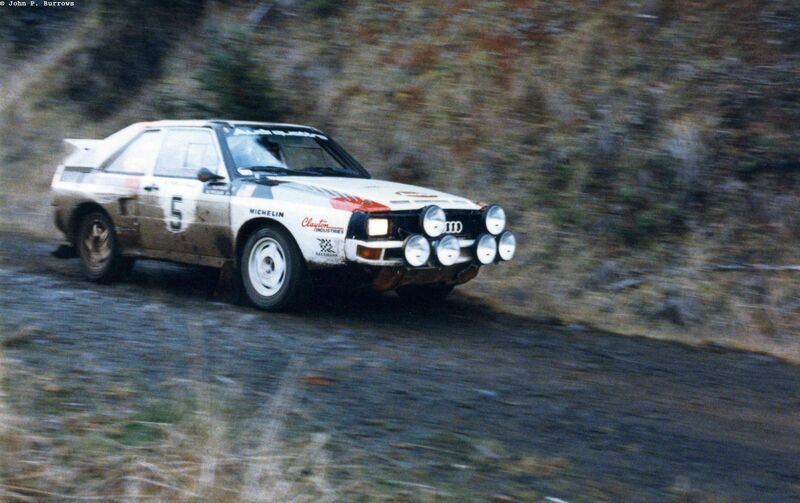 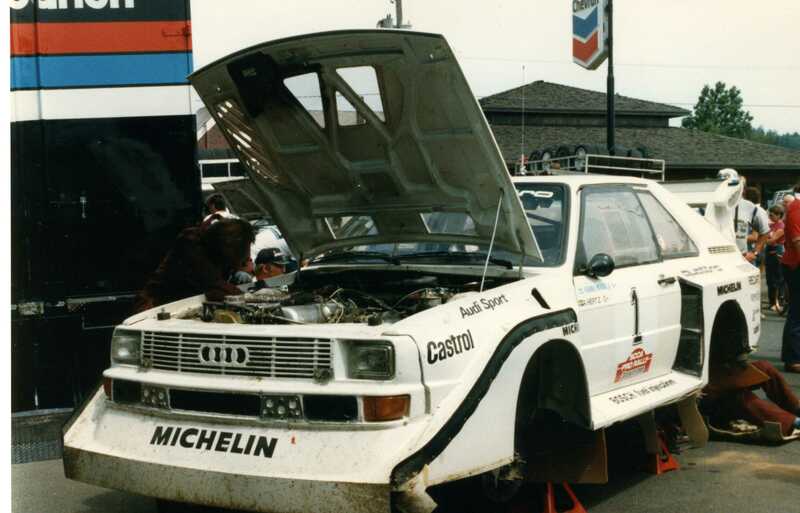 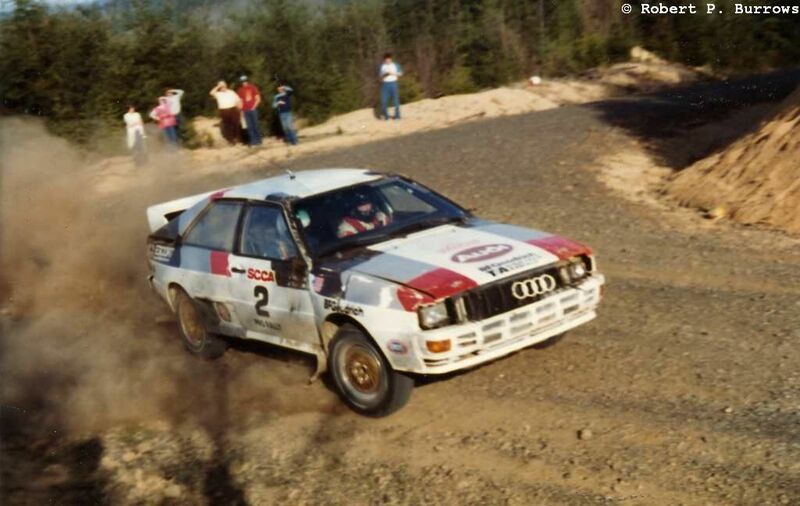 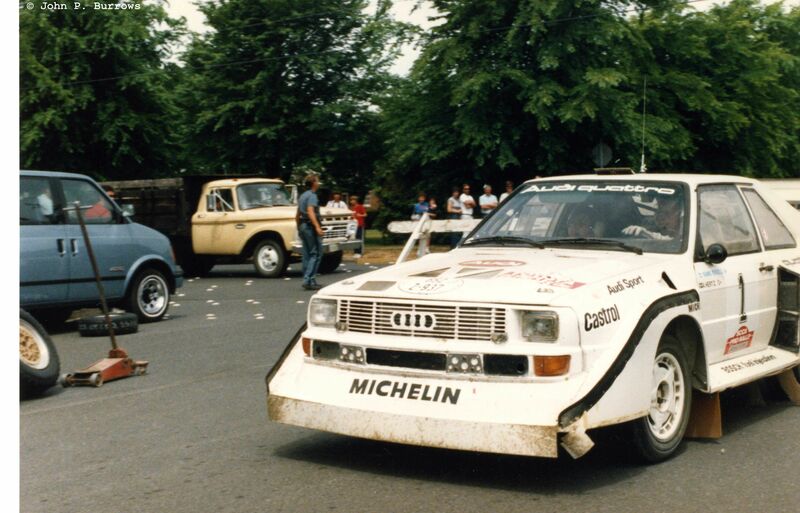 JB powering the Quattro over a crest. 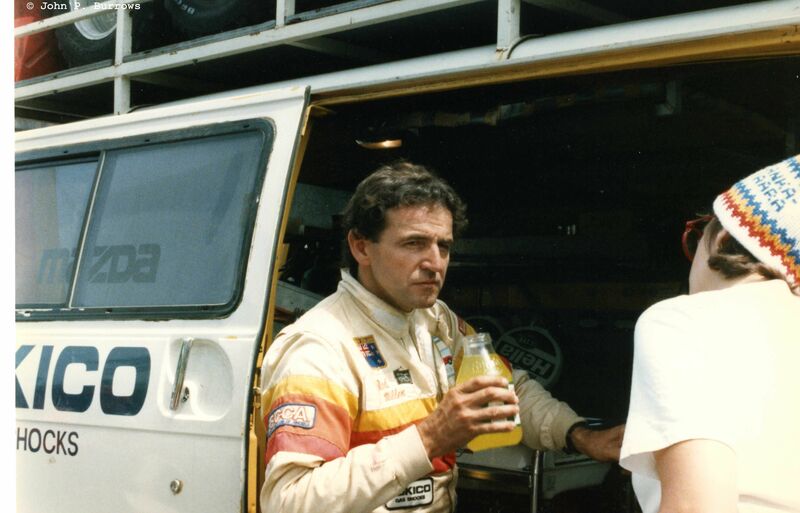 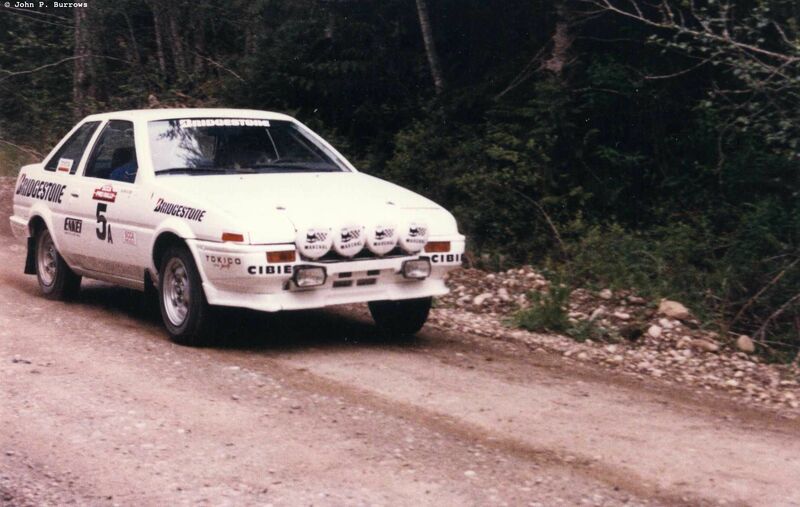 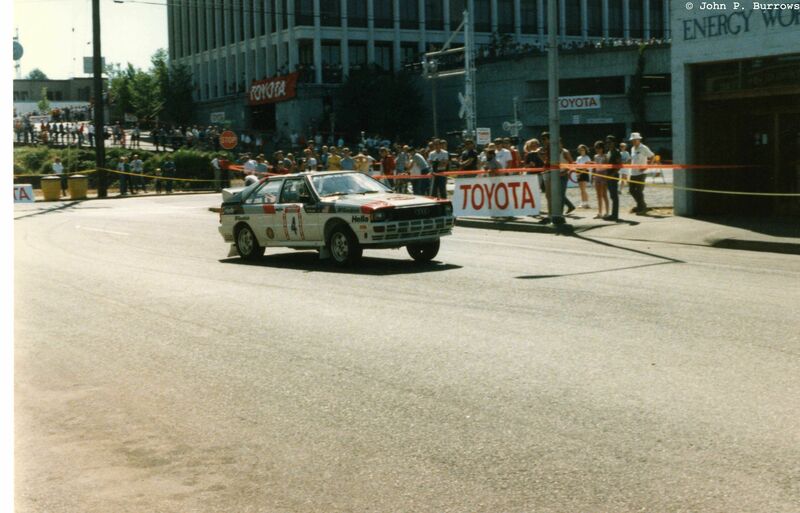 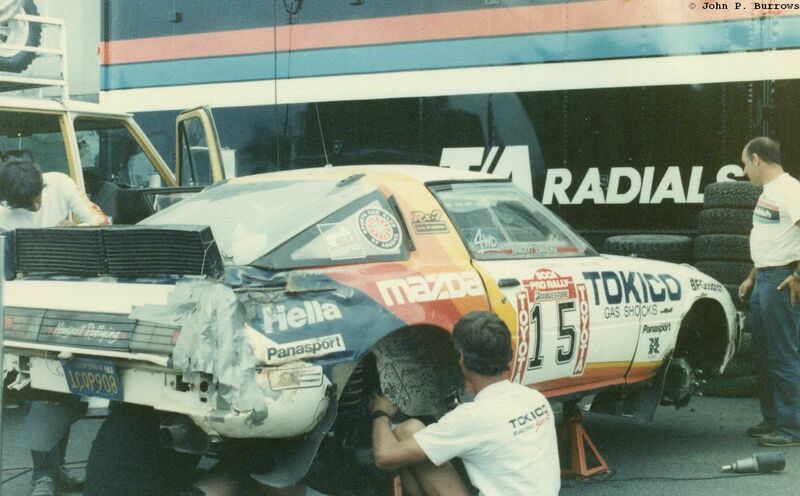 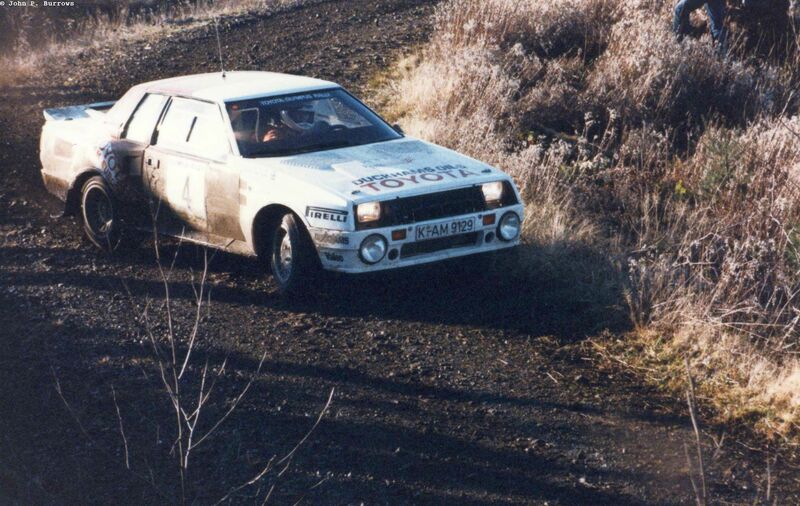 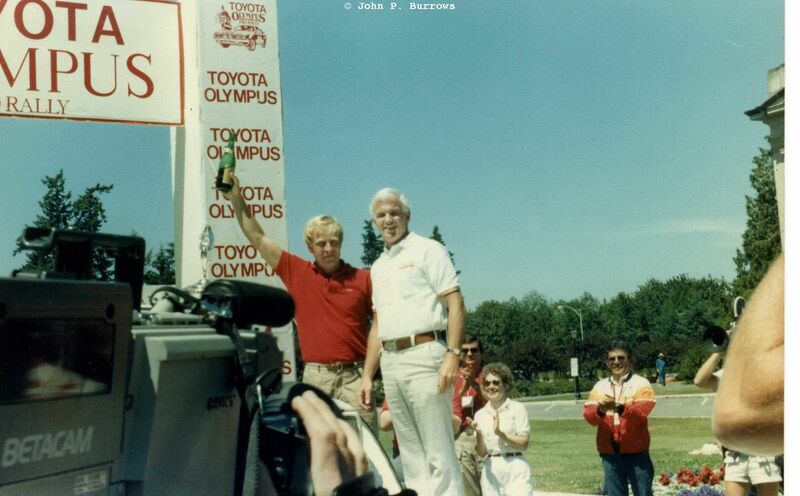 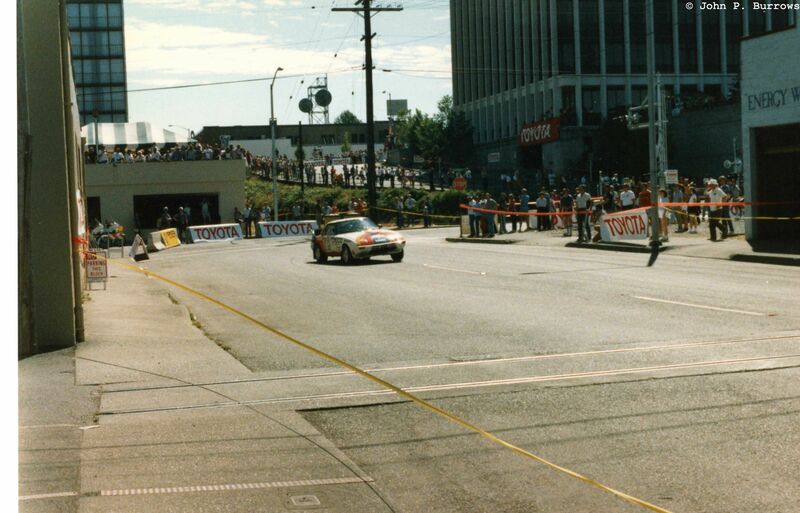 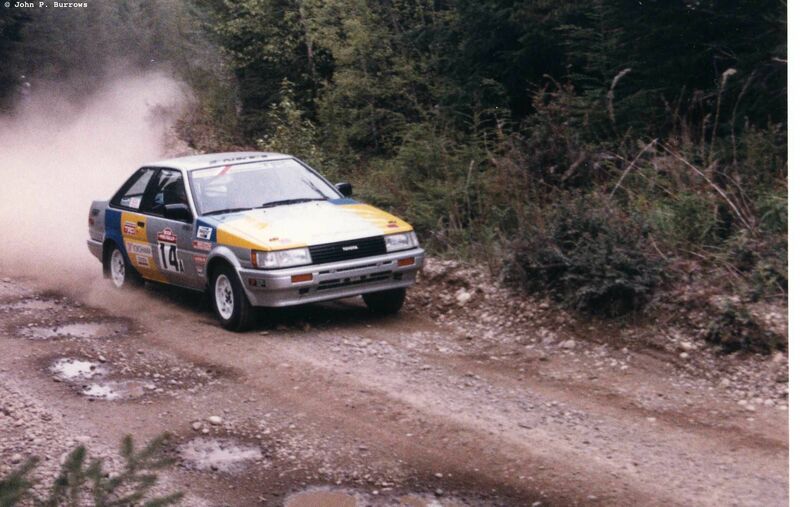 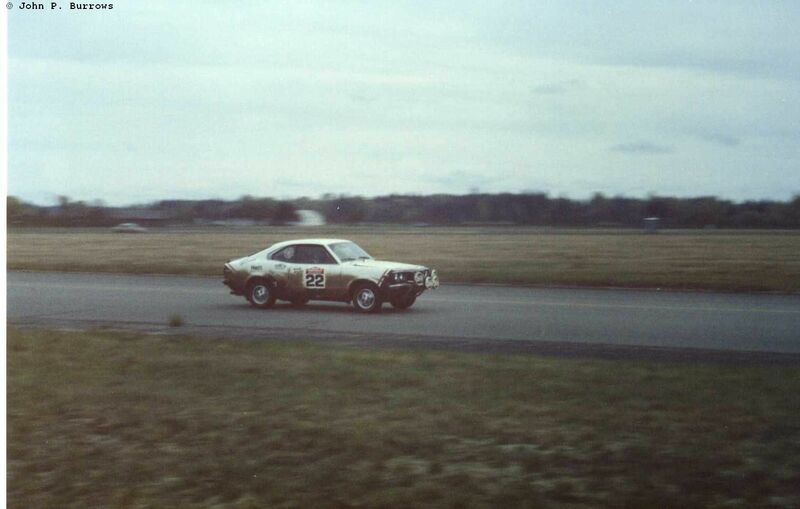 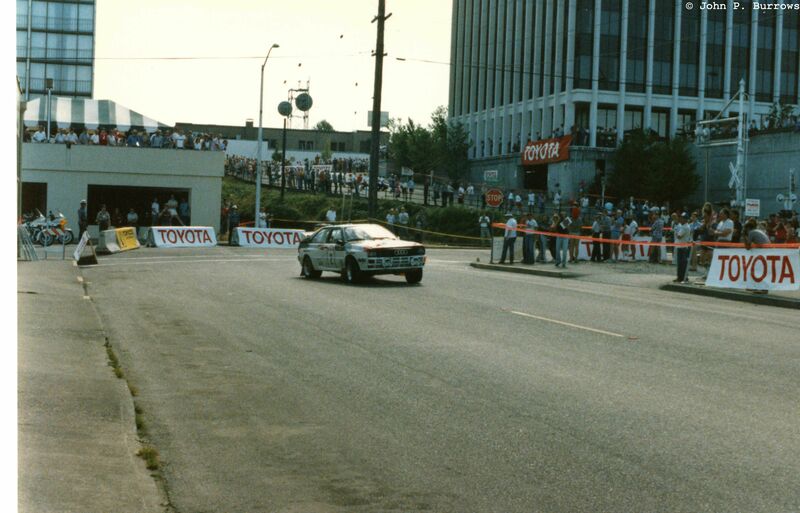 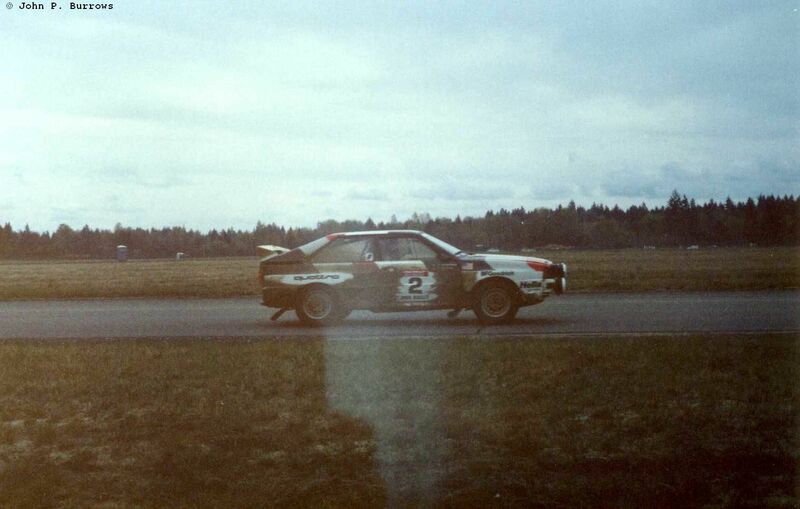 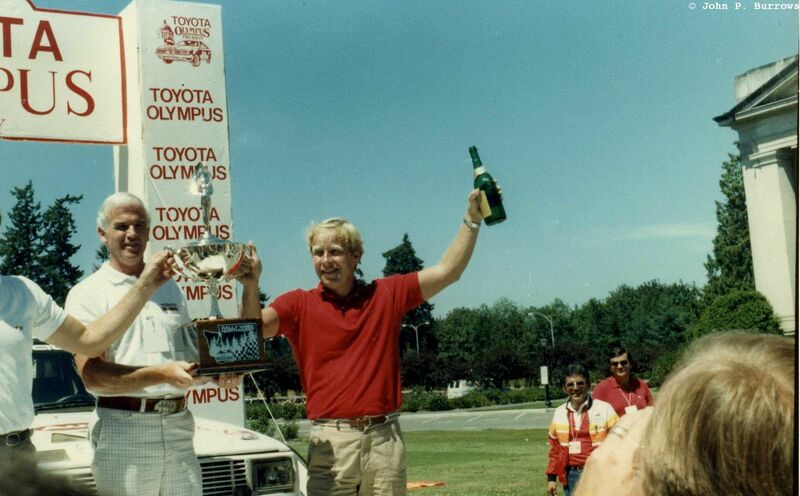 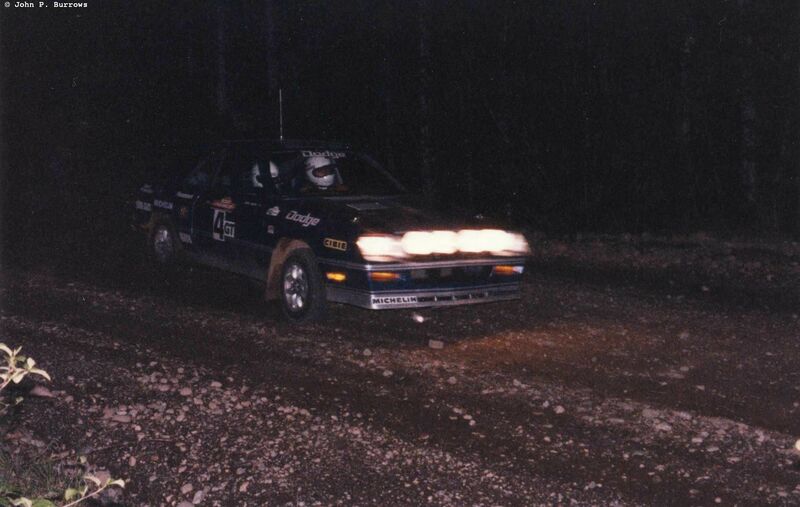 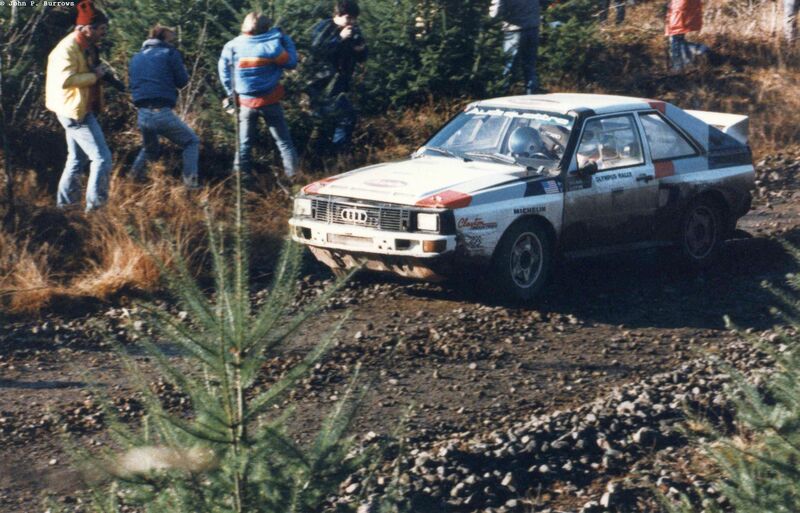 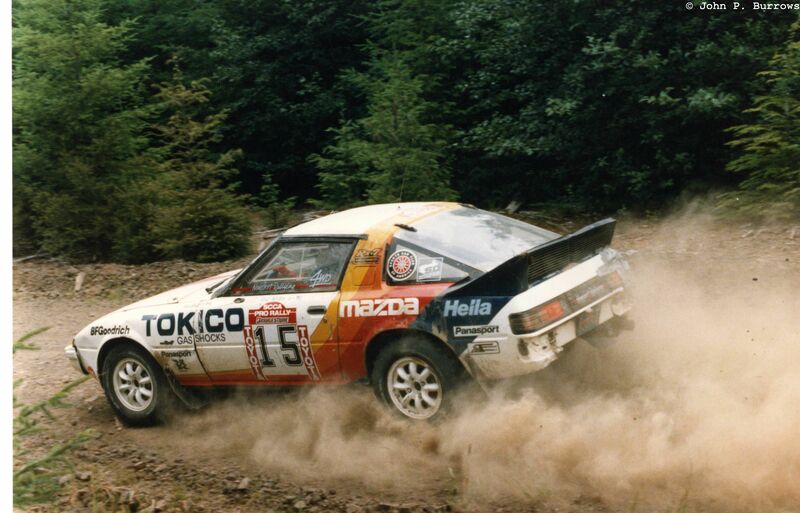 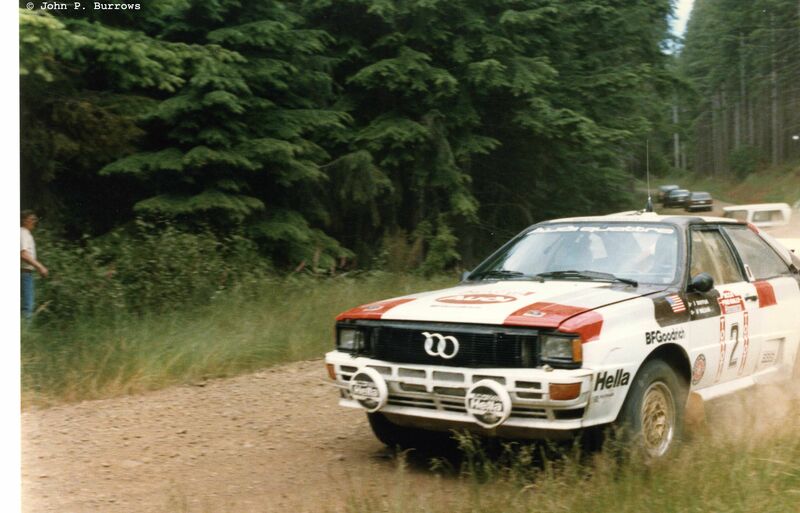 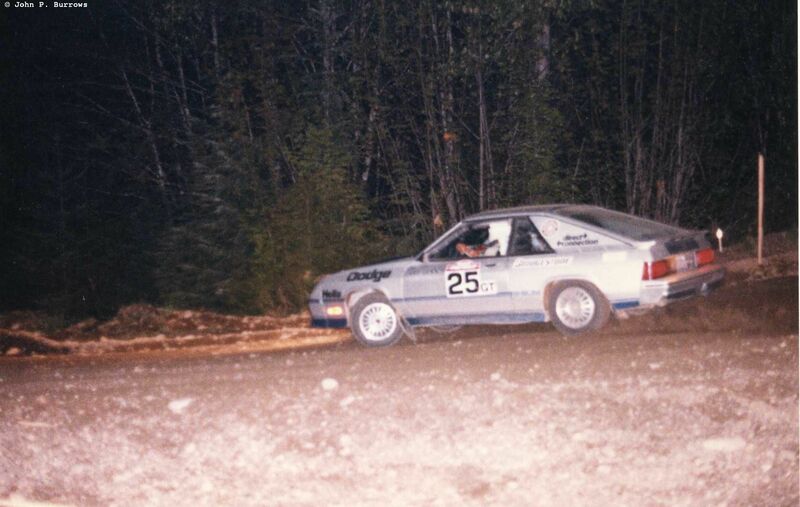 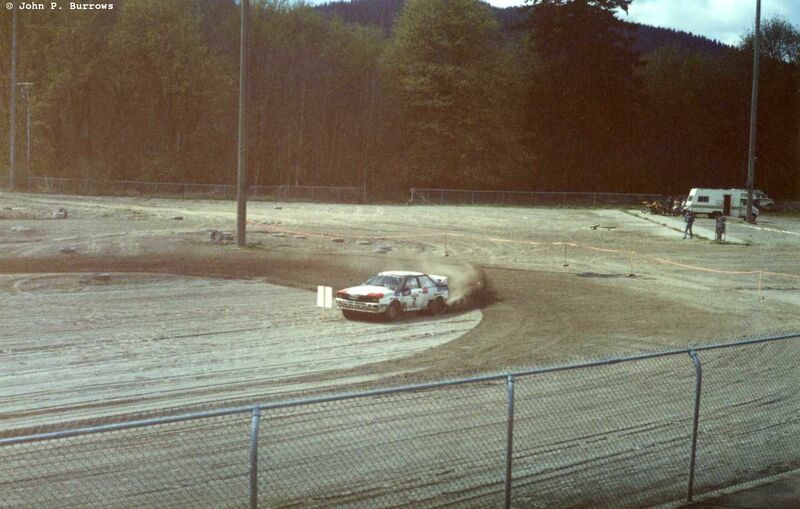 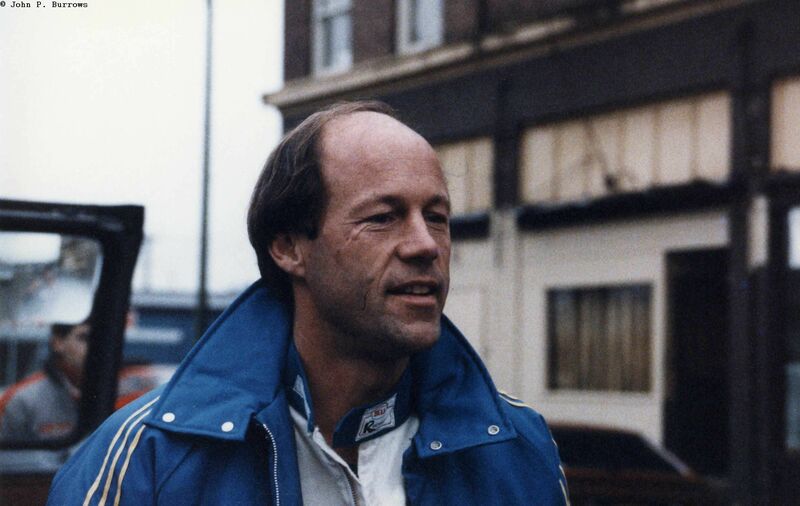 Waldegaard in the Toyota. 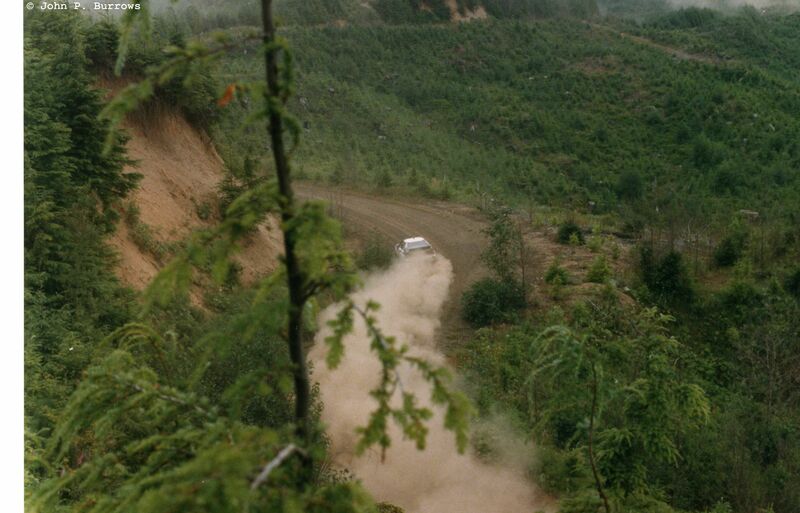 I climbed onto a stump to get this. 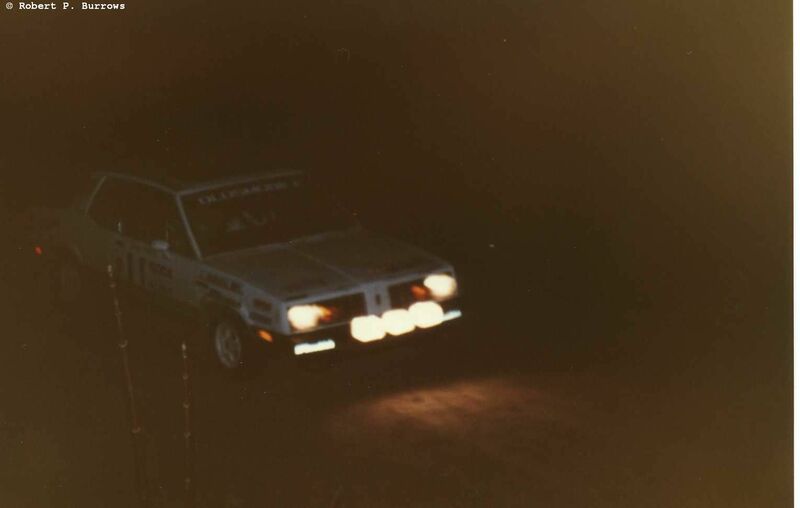 The Allesandrini’s head off into the gloom. 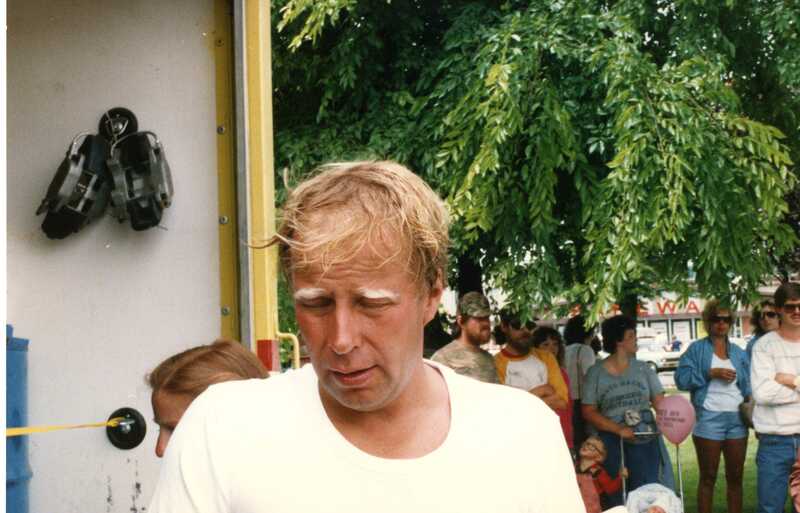 A service stop was held in Raymond. 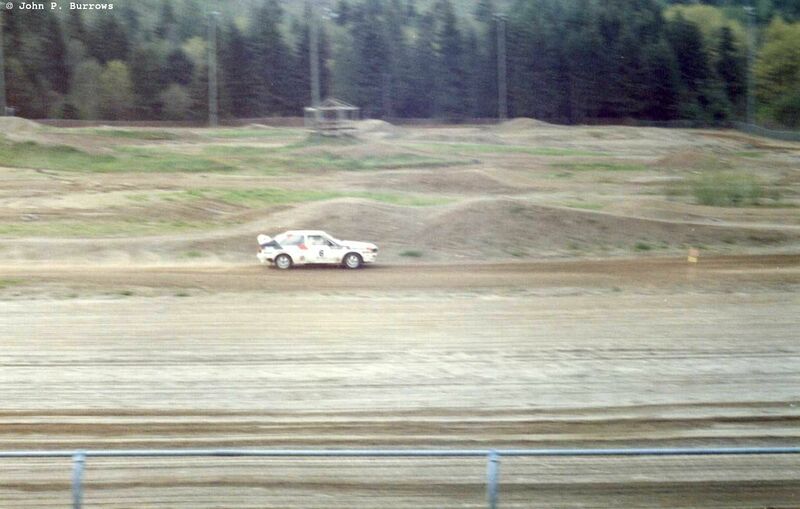 I got a few good shots of the leading drivers. 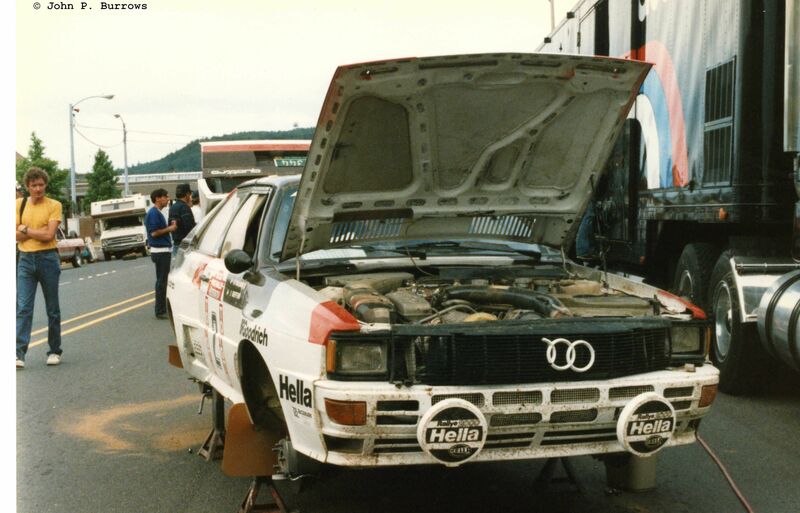 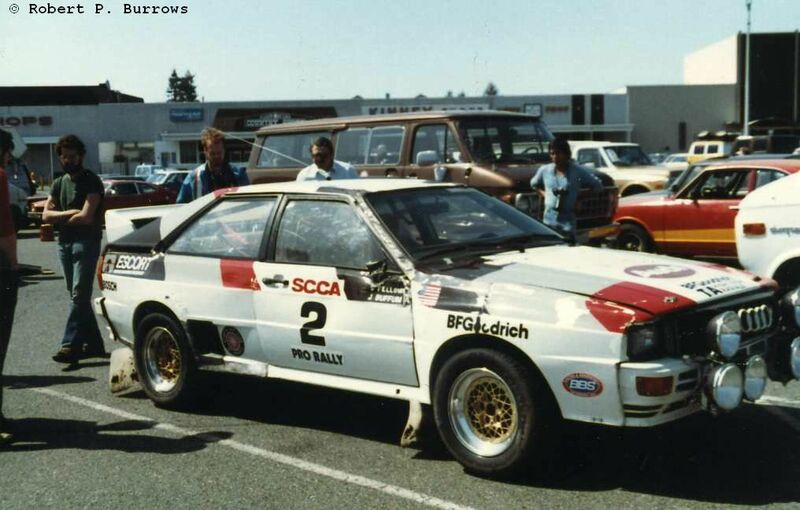 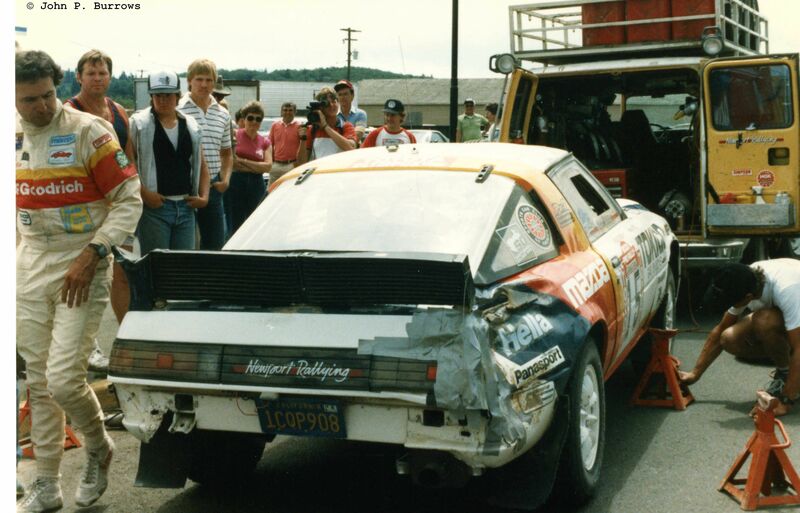 Allen’s Delta S4. 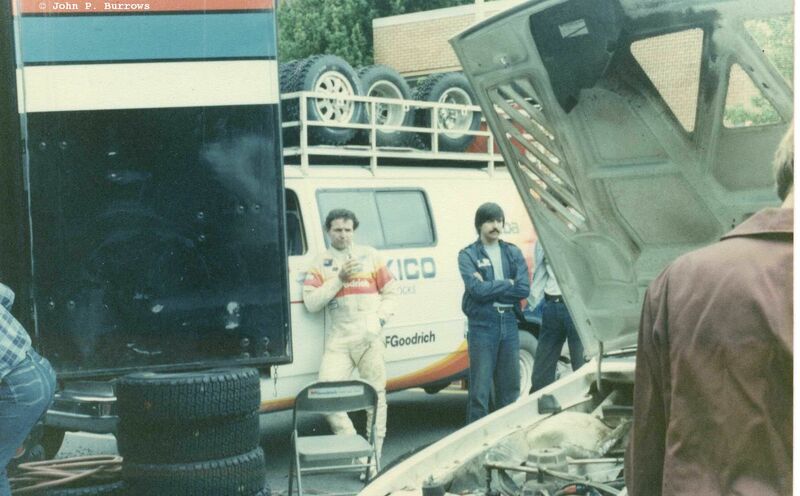 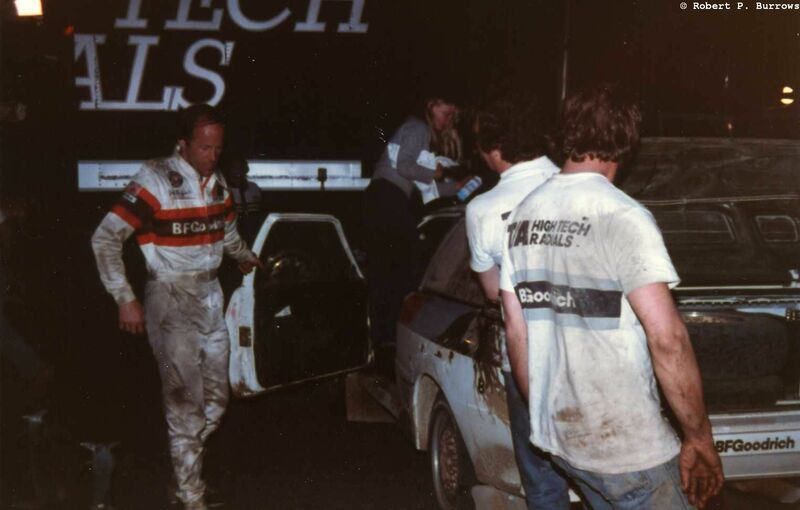 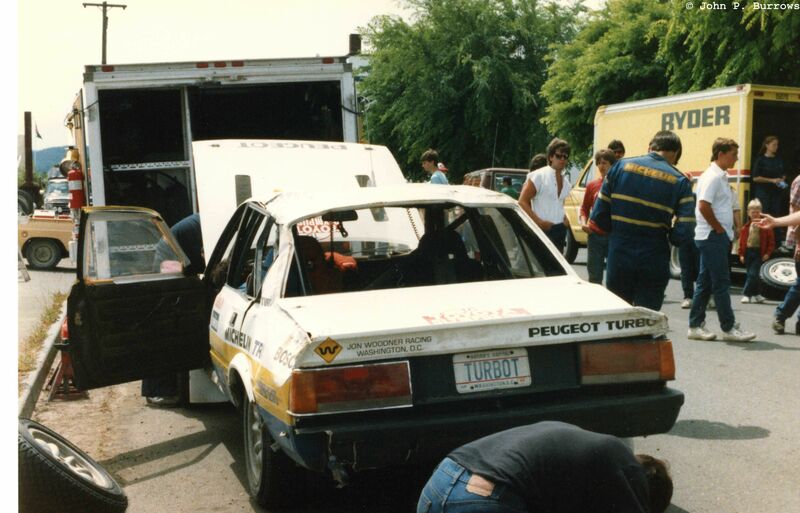 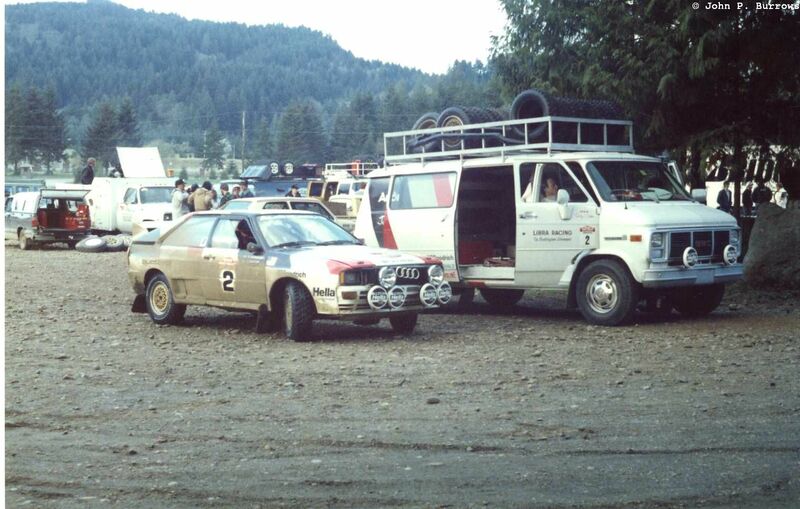 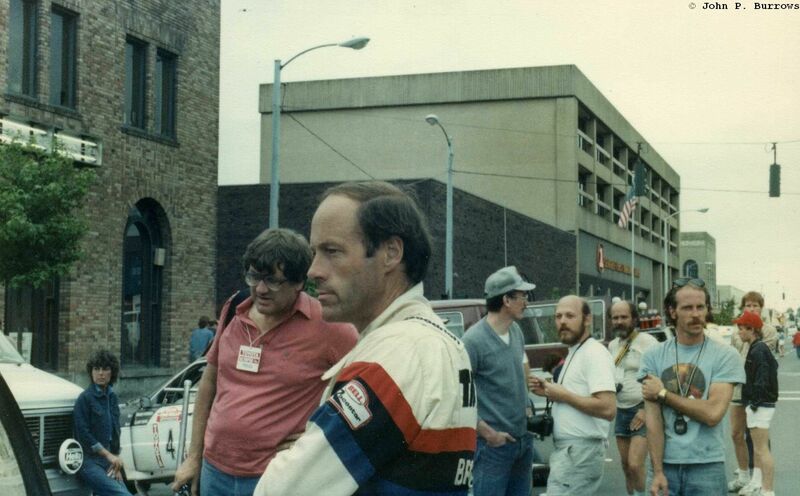 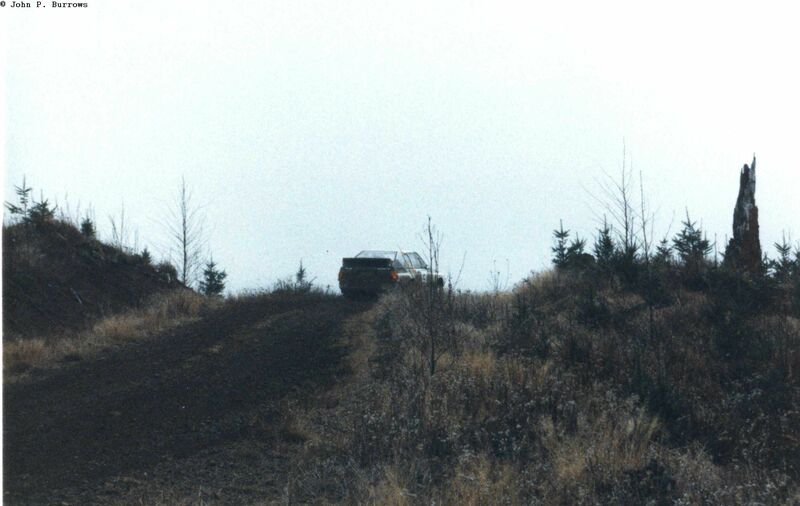 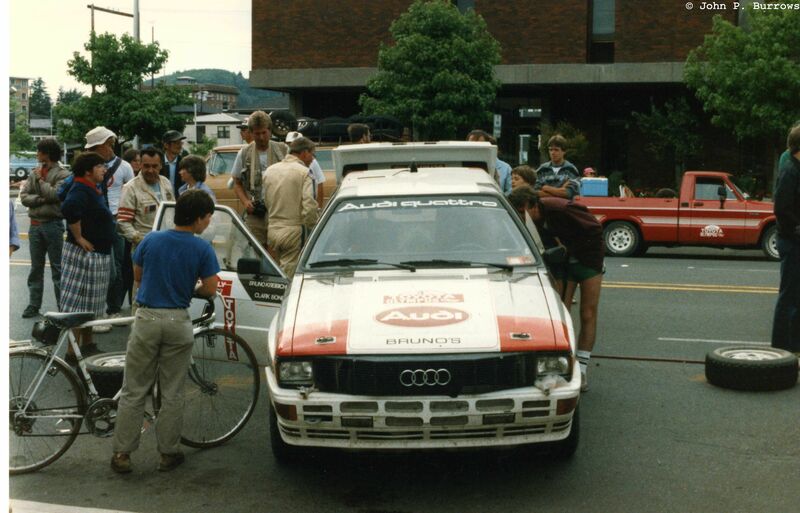 Notice that the teams were using rental trucks for support vehicles. 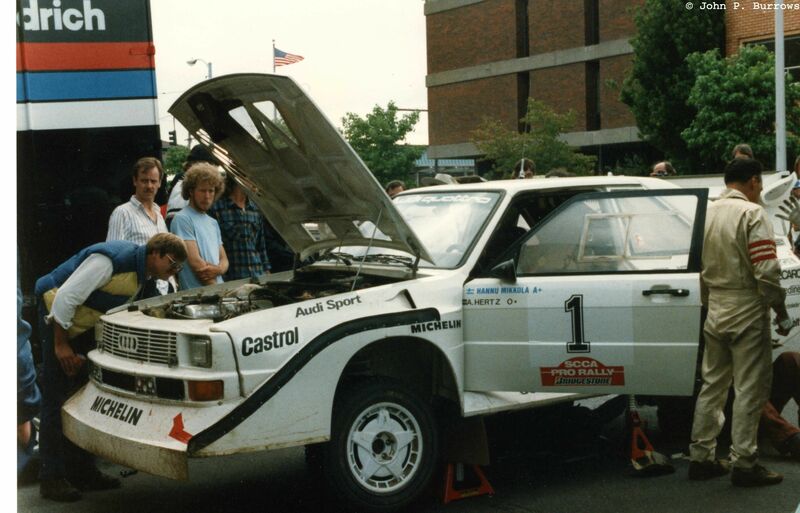 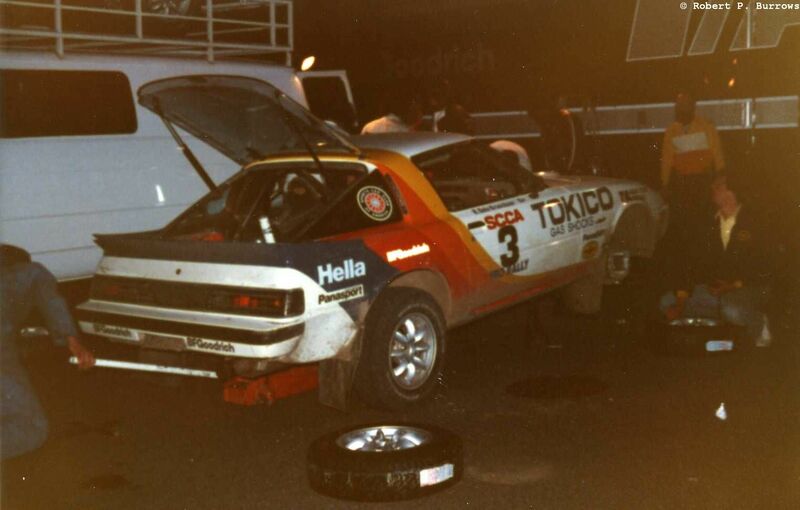 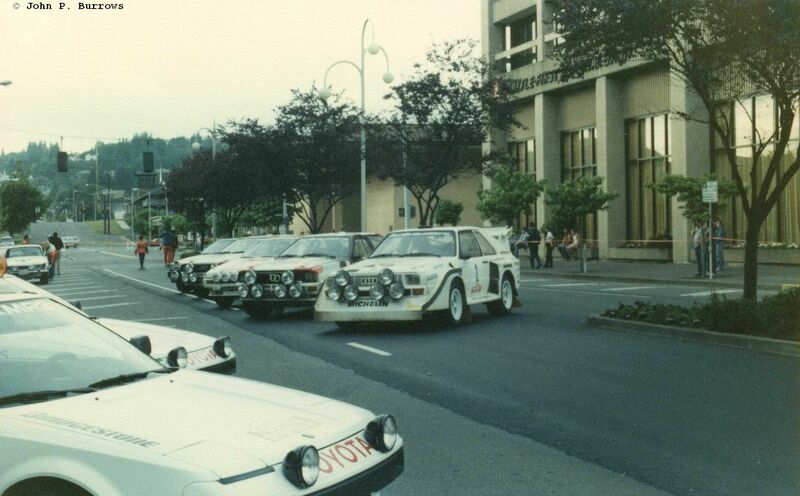 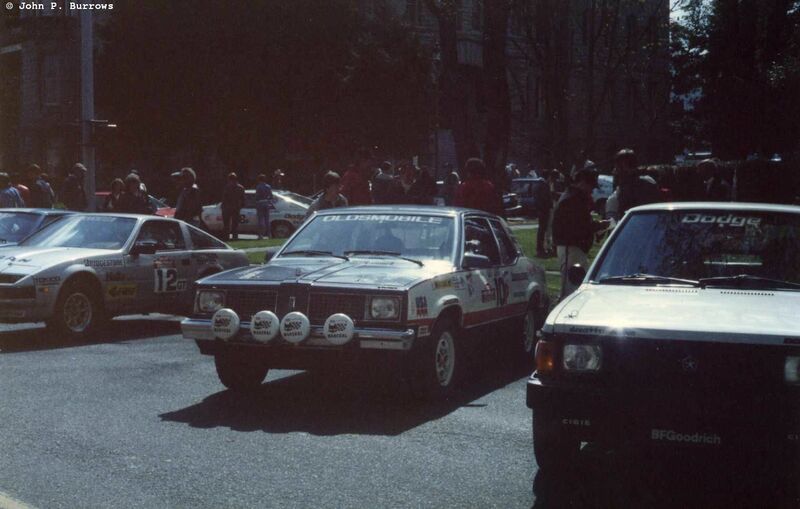 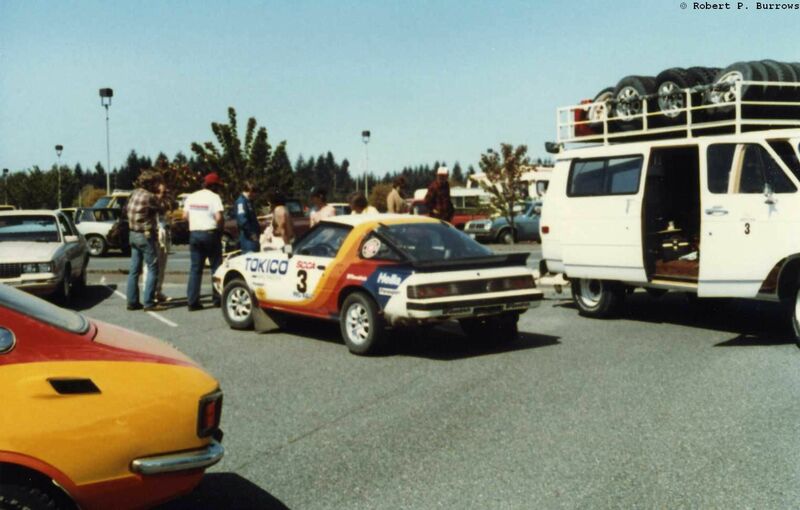 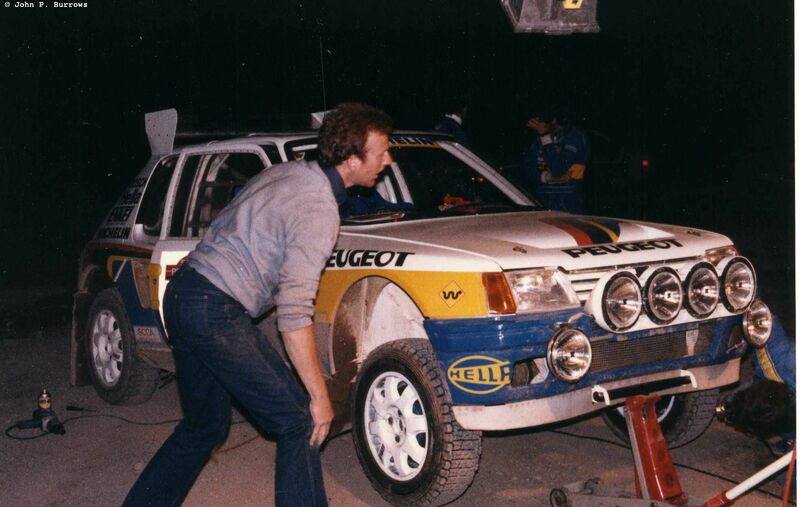 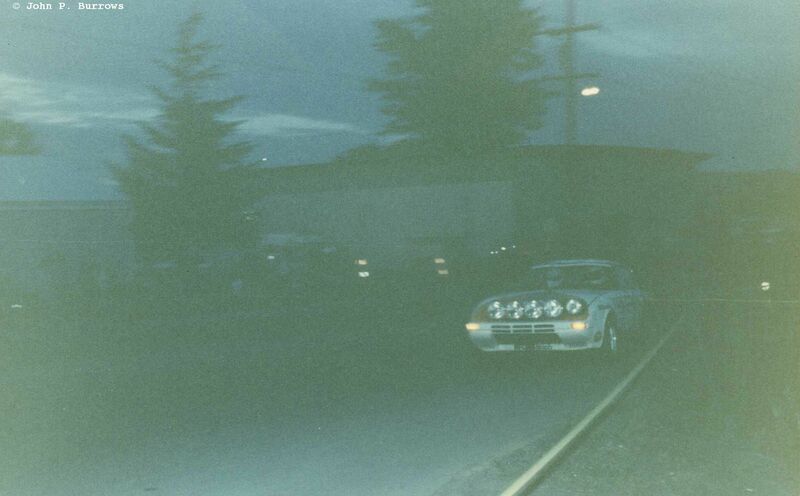 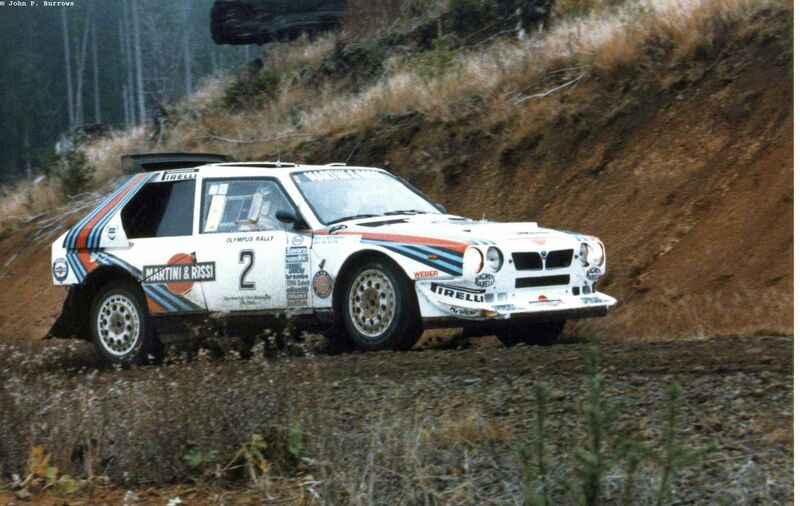 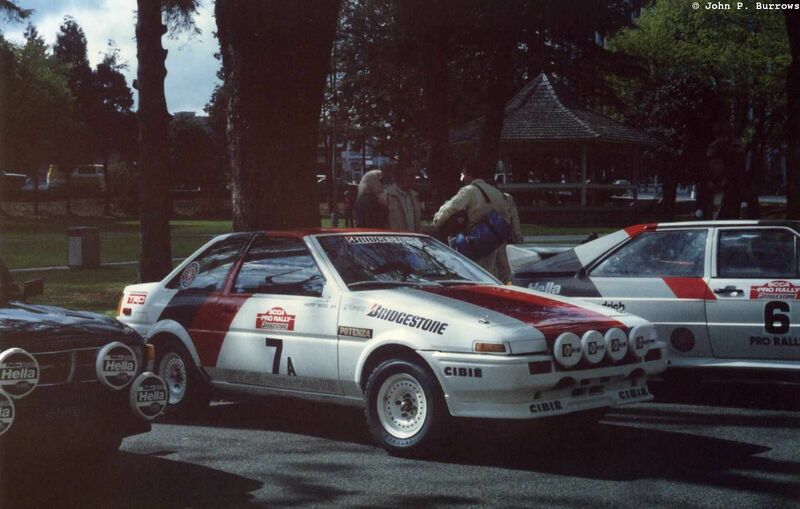 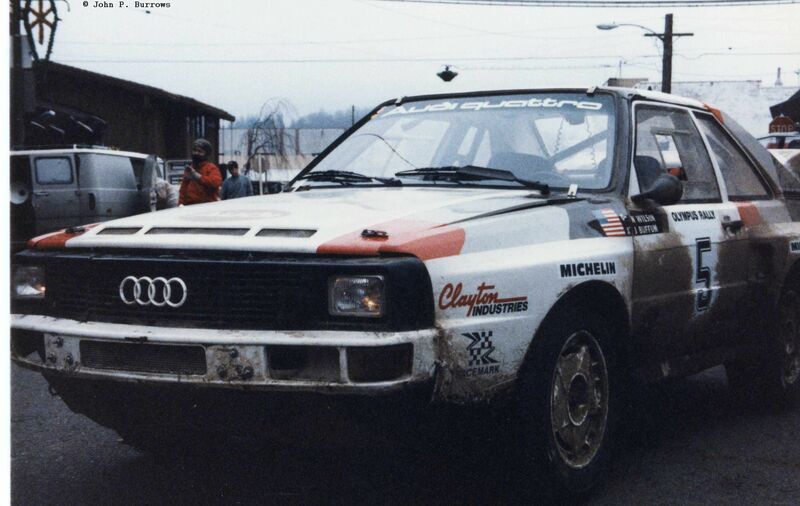 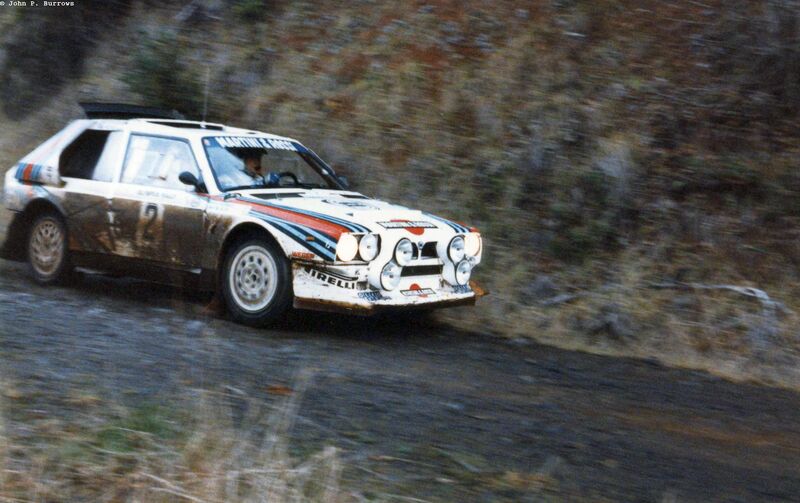 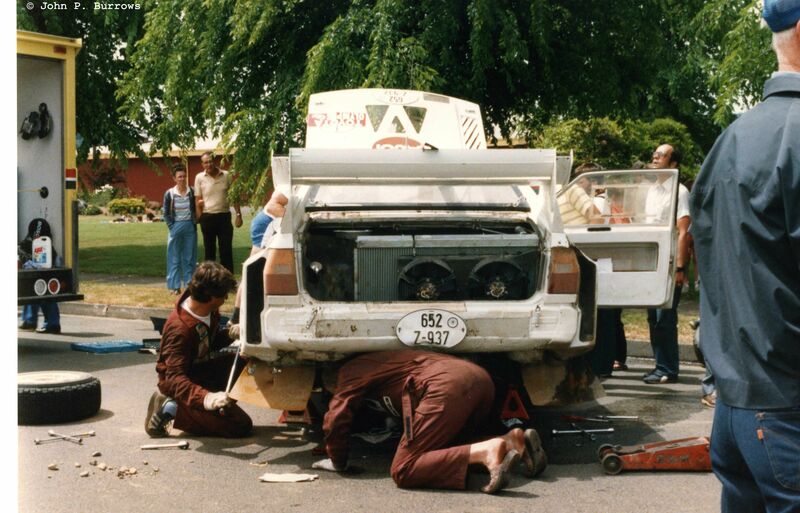 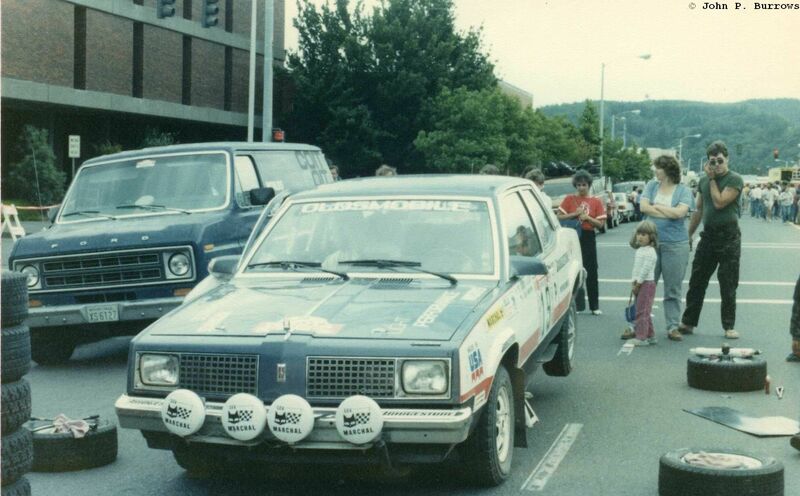 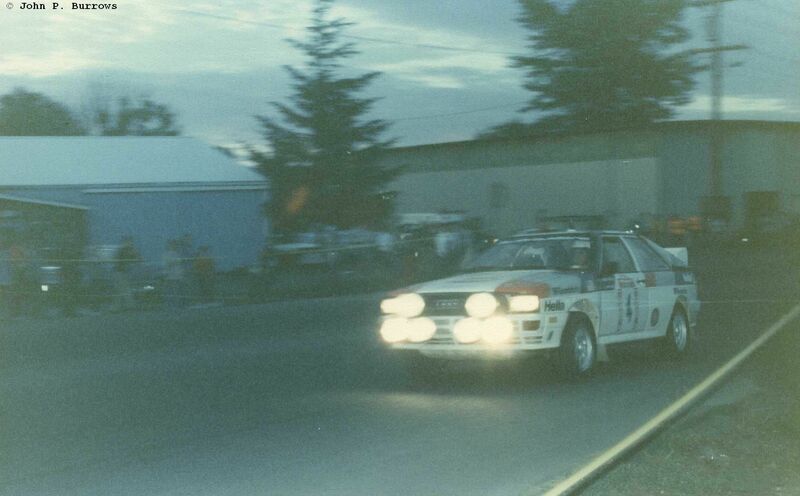 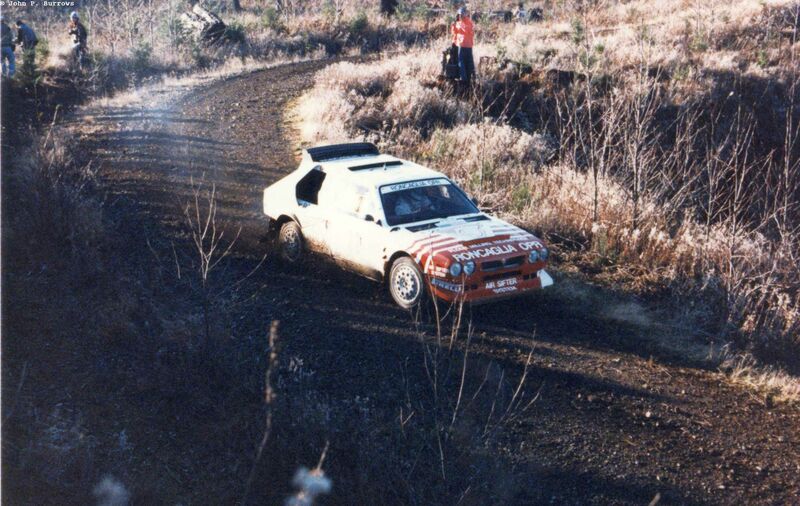 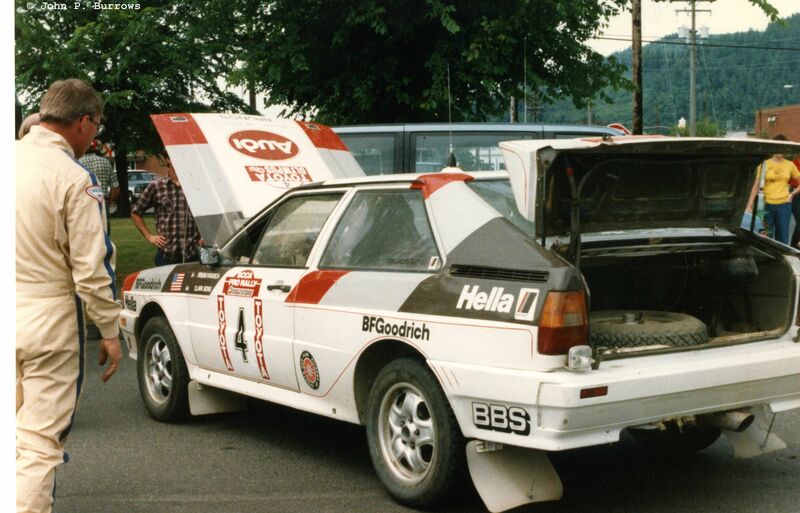 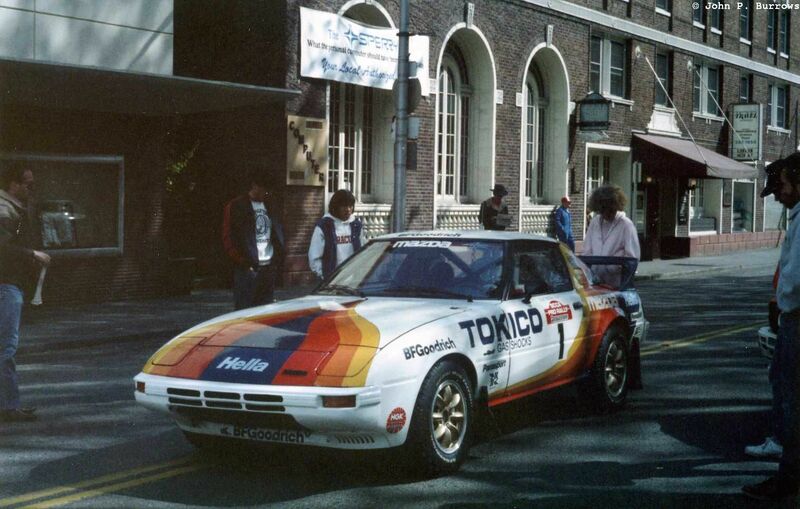 After the rally, we used to see rental trucks around the area with their factory Lancia or Peugeot stickers on the side. 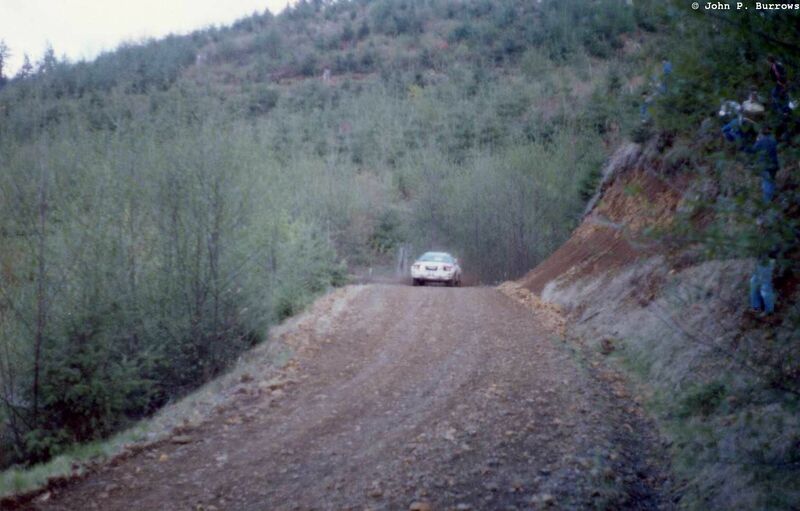 There was a washed out area of the road due to some flooding in the area prior to the rally. 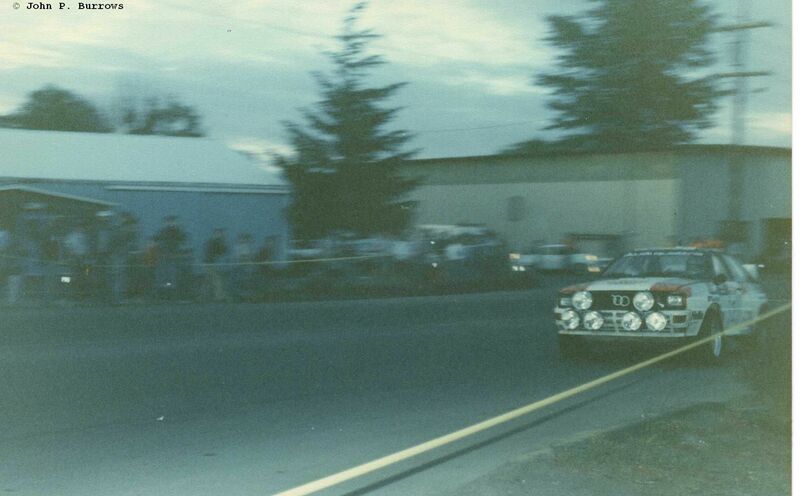 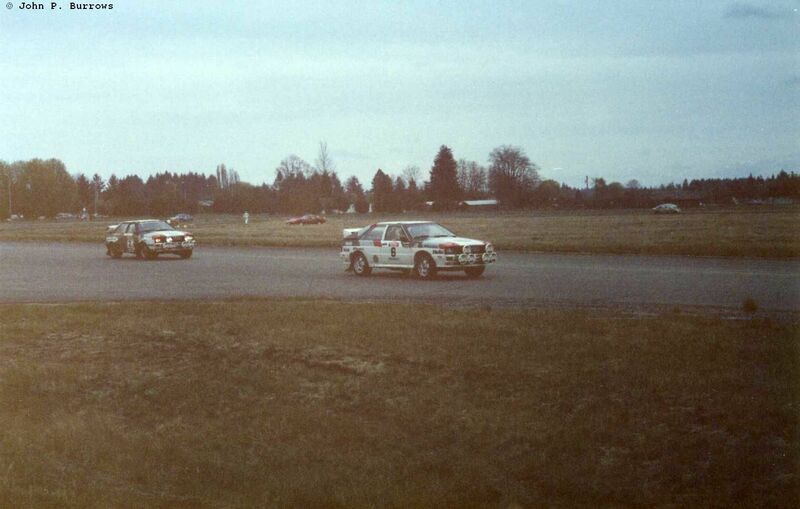 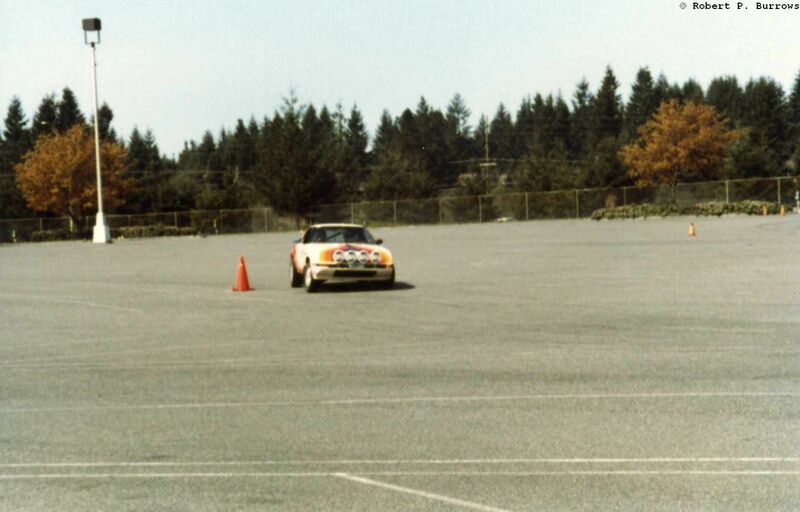 We were able to get some good close shots as the cars slowed to go by. 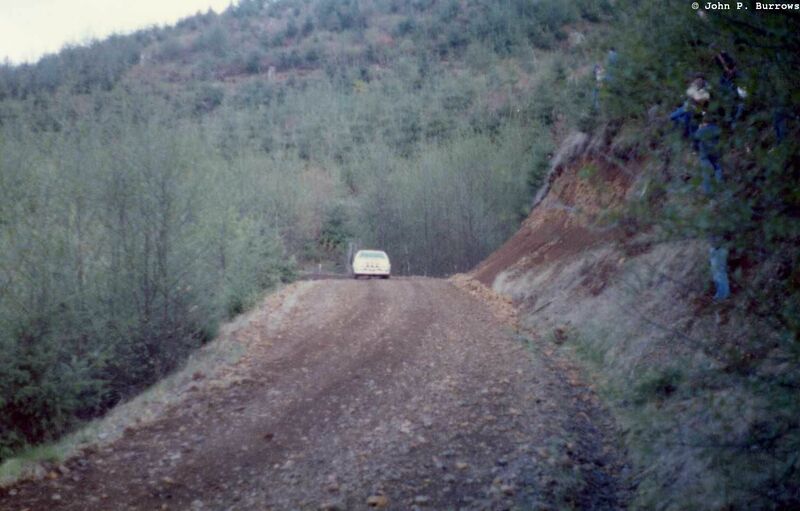 The road was little wider than the cars and the ravine/wash out went down about 20 or 30 feet.. 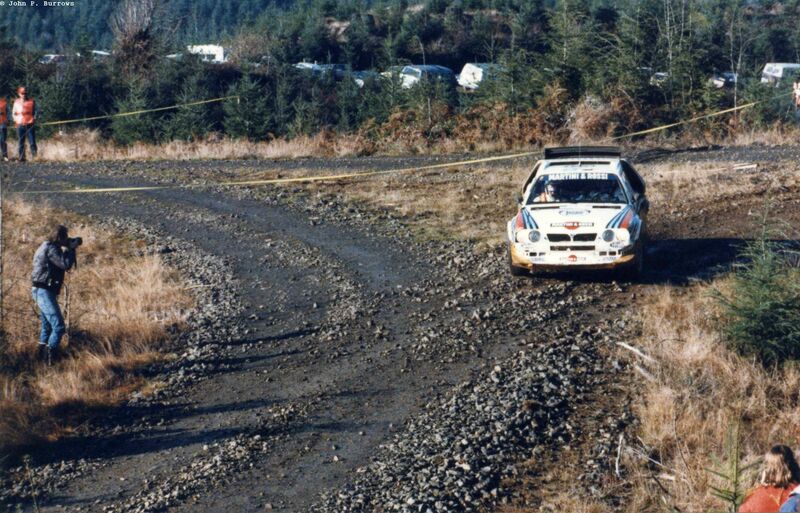 The sun actually came out for this last stage we went to. 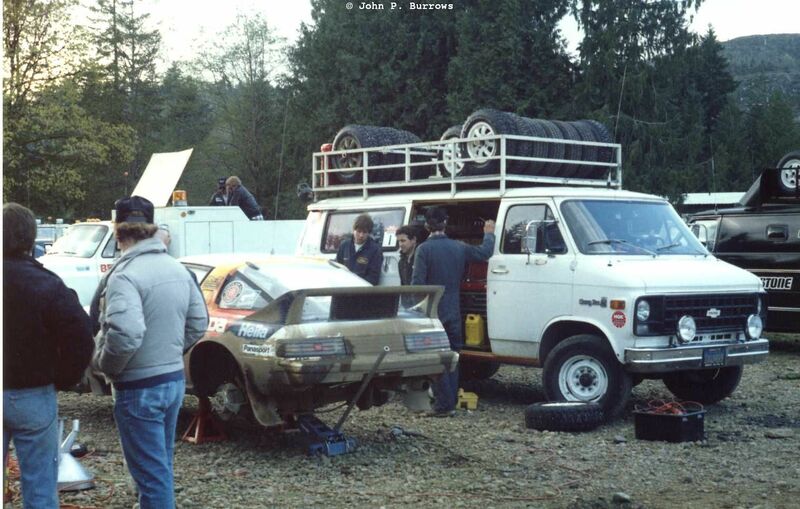 JB’s co driver must have mis-read a note..